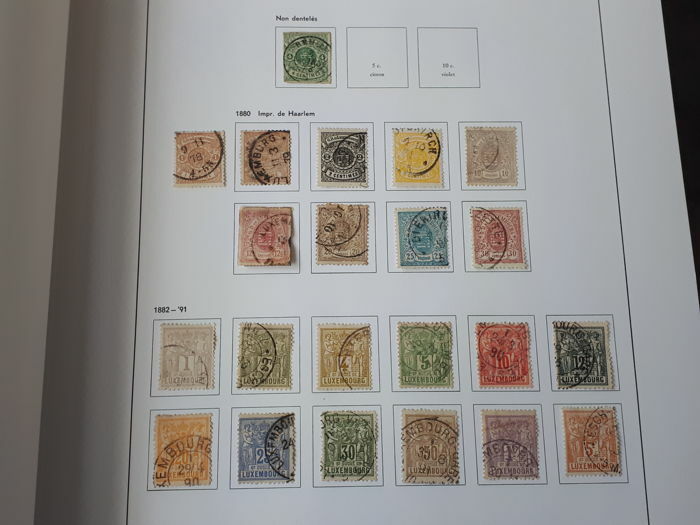 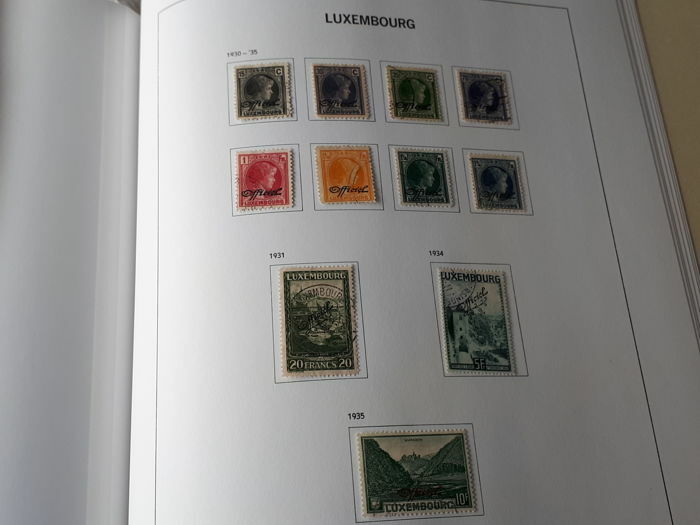 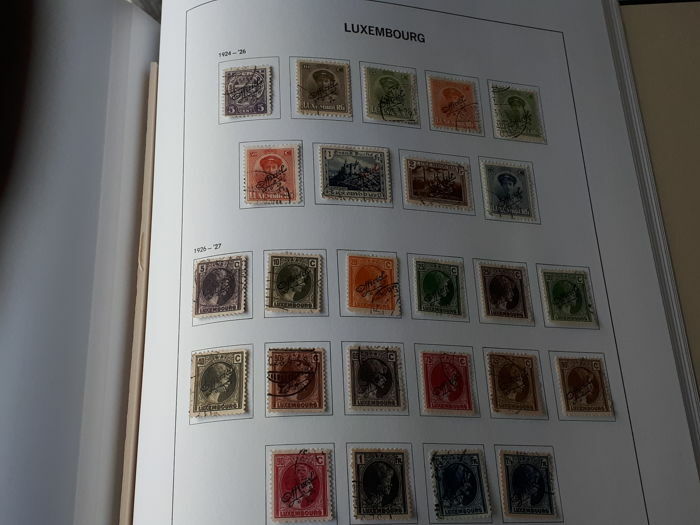 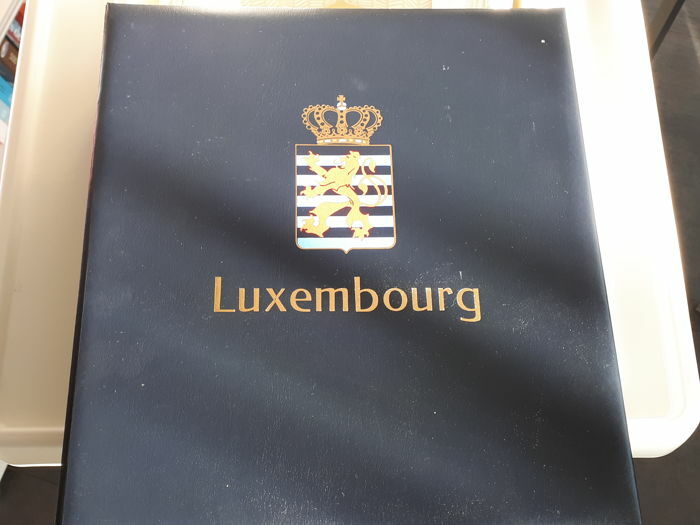 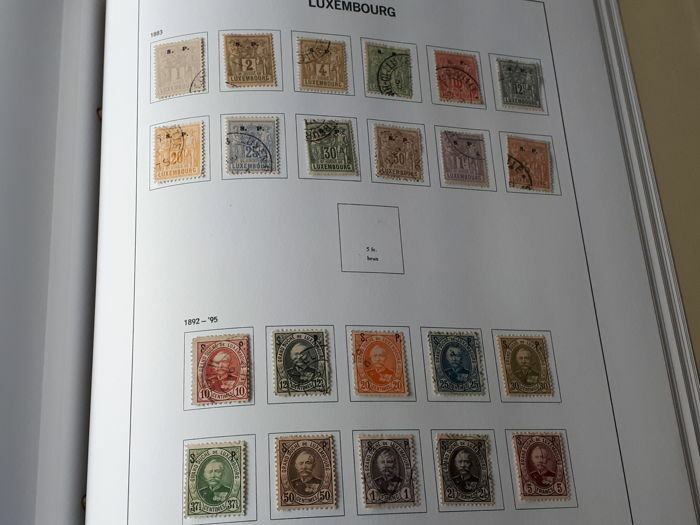 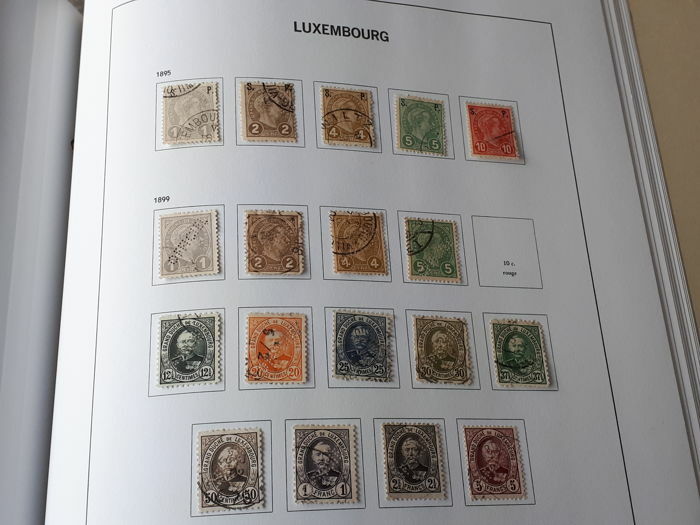 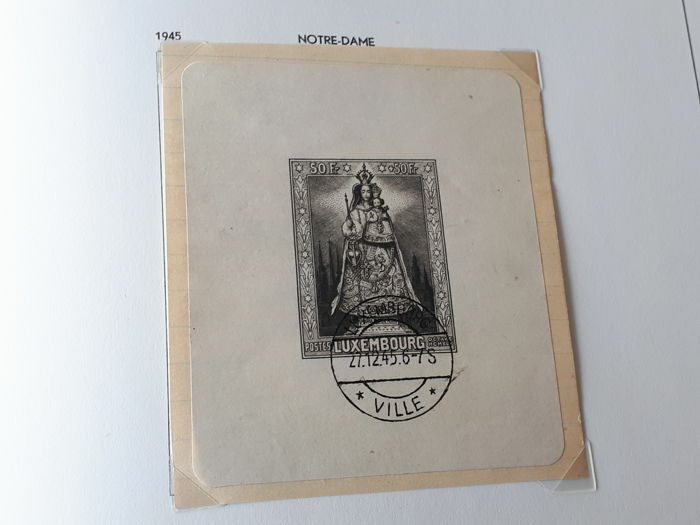 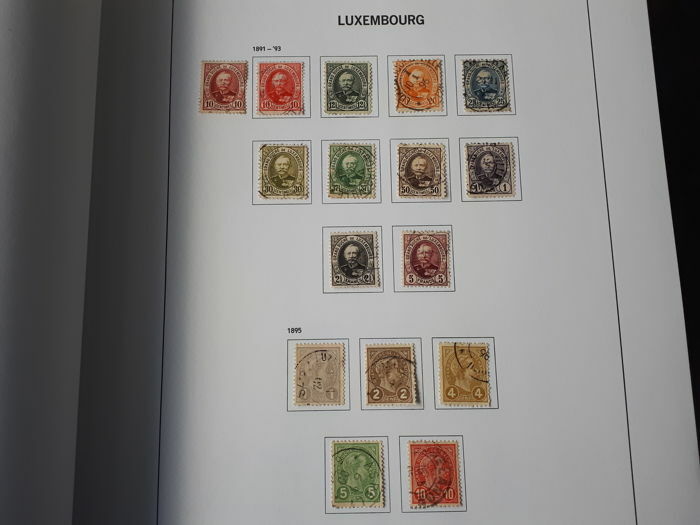 Luxembourg 1852-1959 - Collection in a Davo preprint album with slipcase. 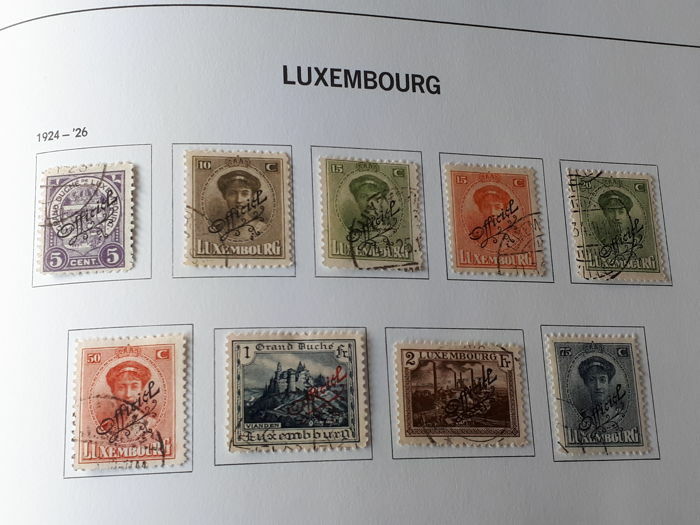 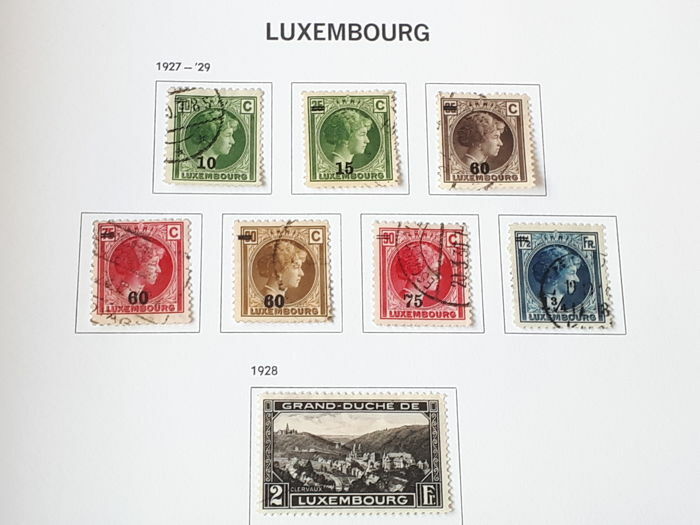 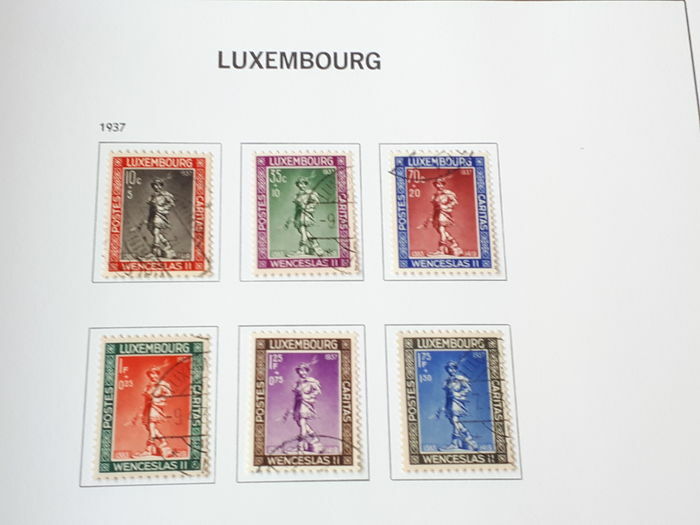 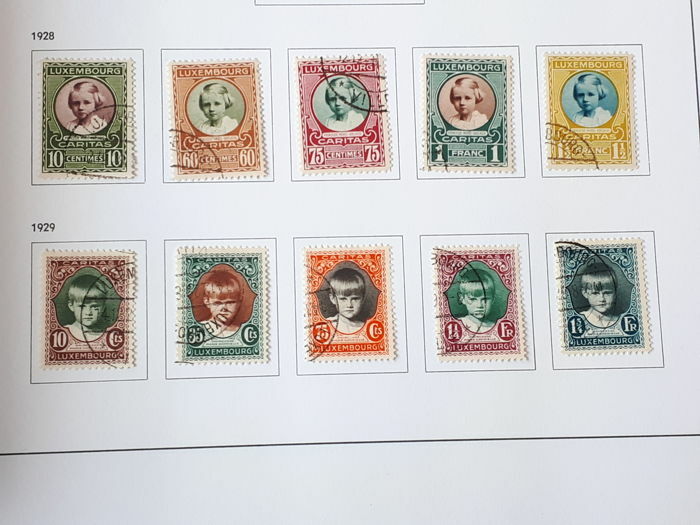 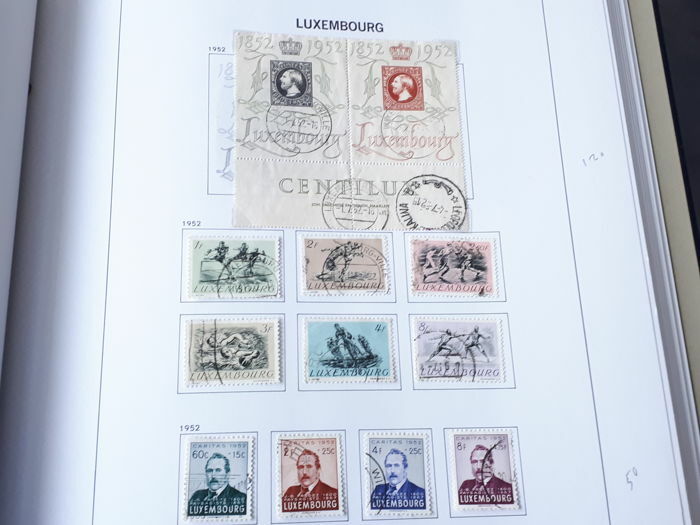 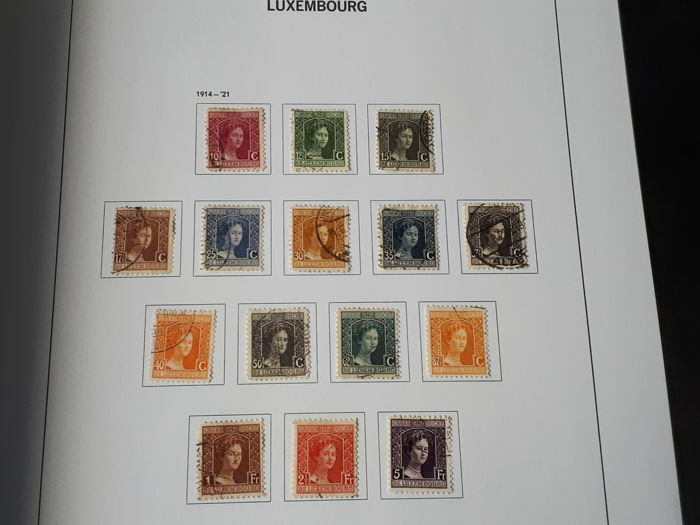 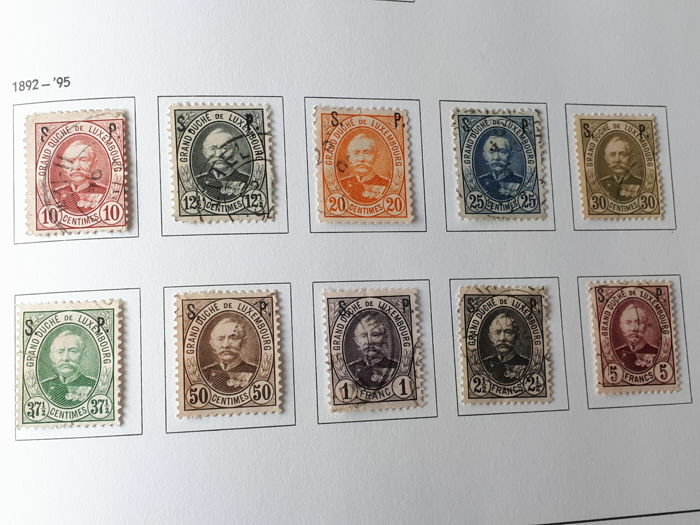 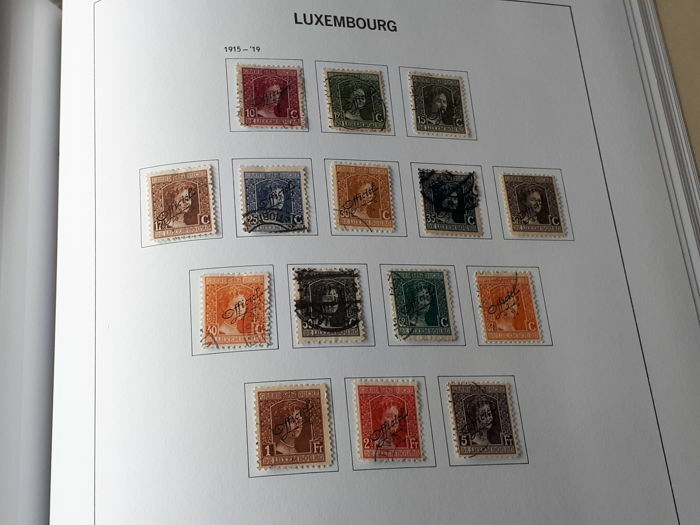 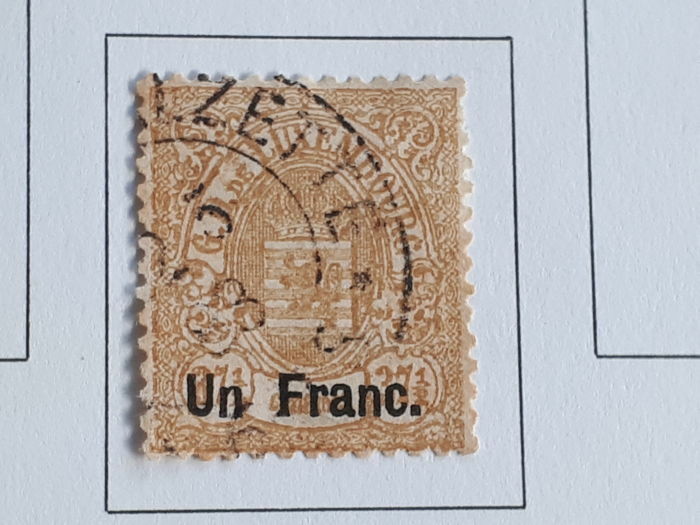 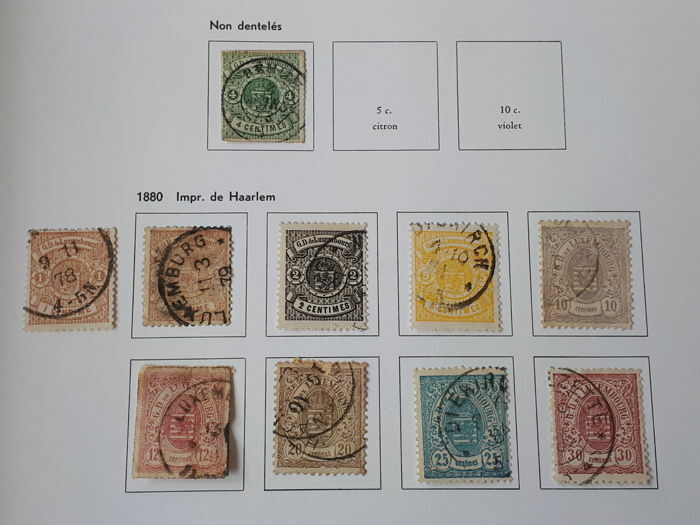 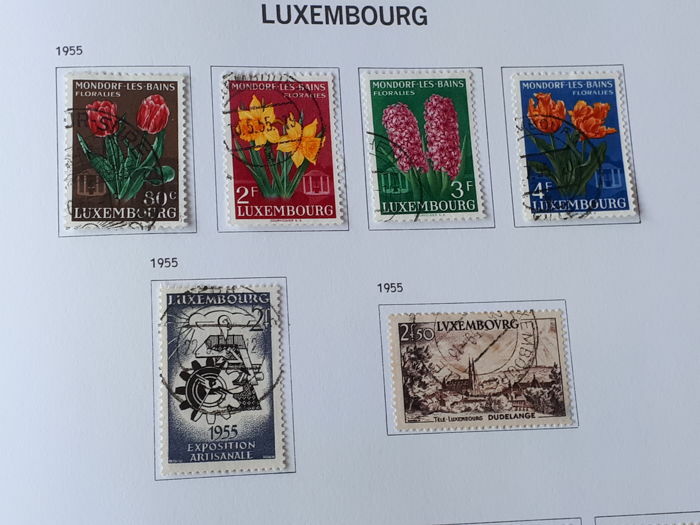 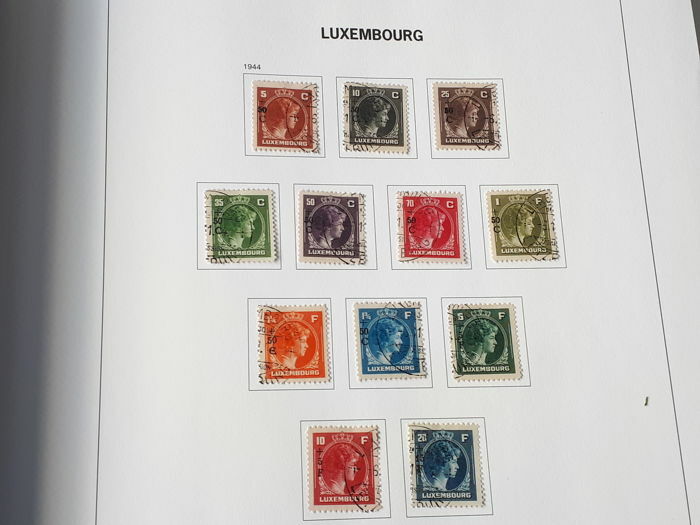 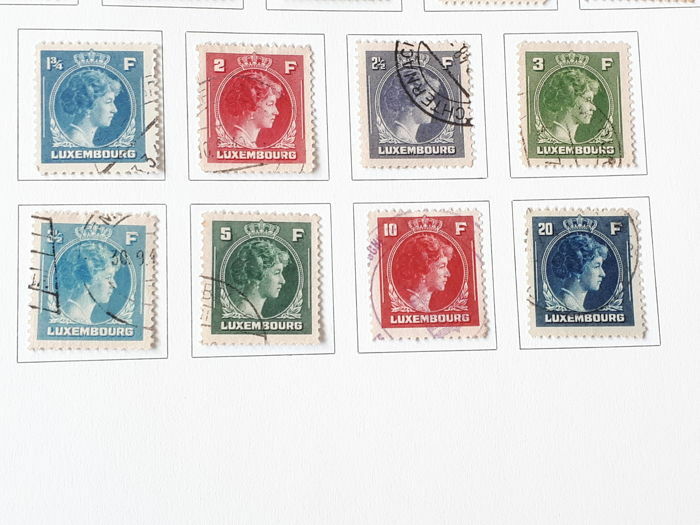 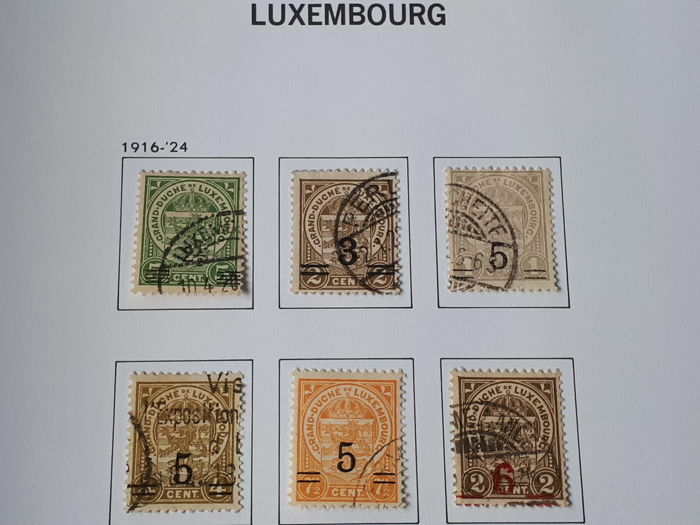 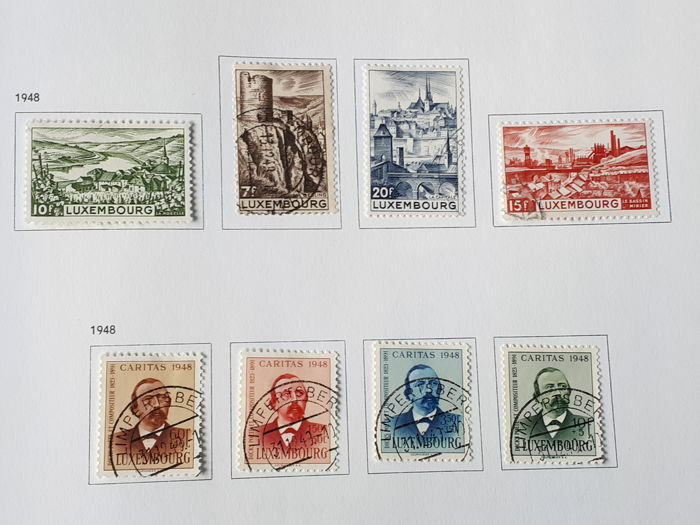 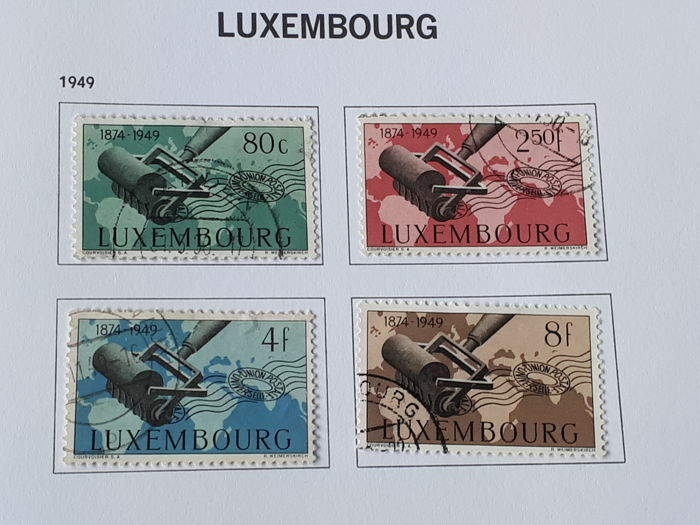 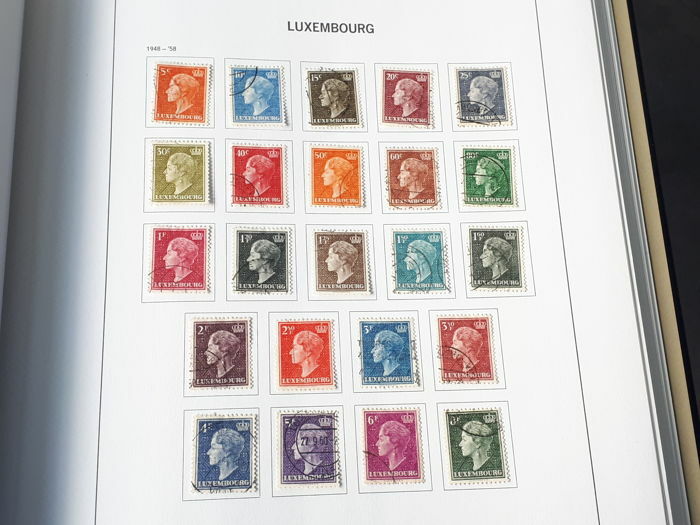 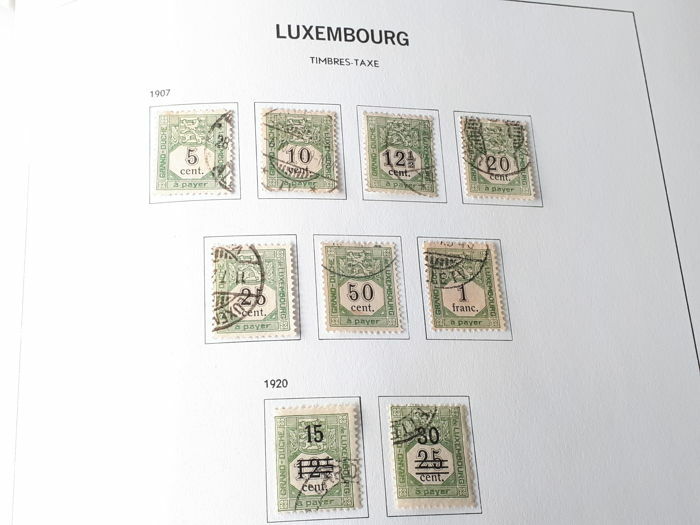 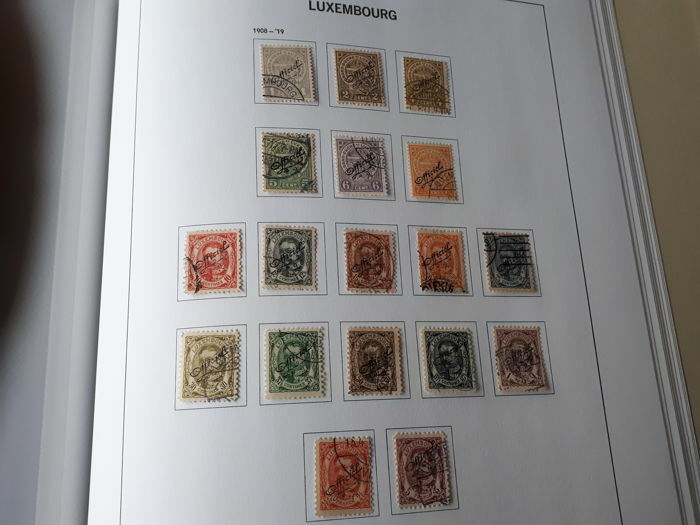 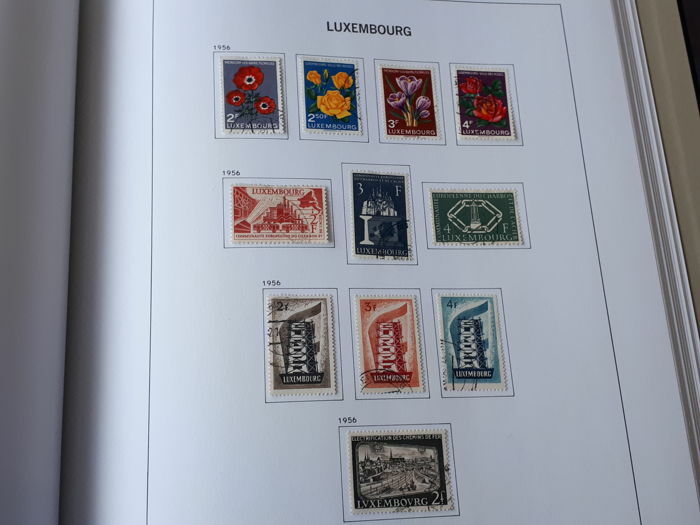 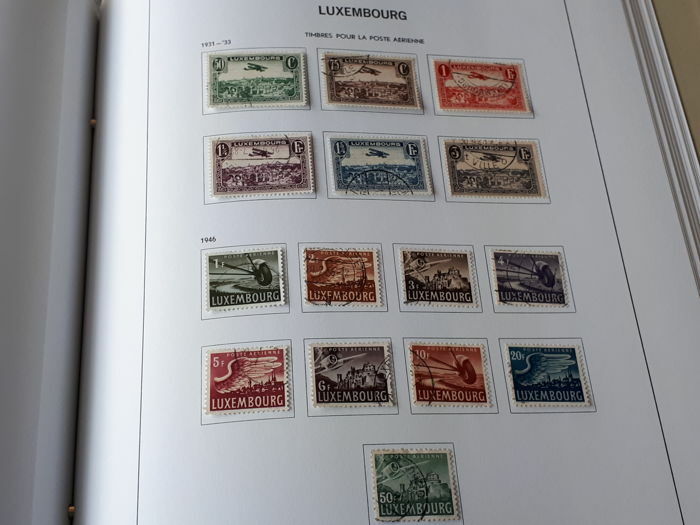 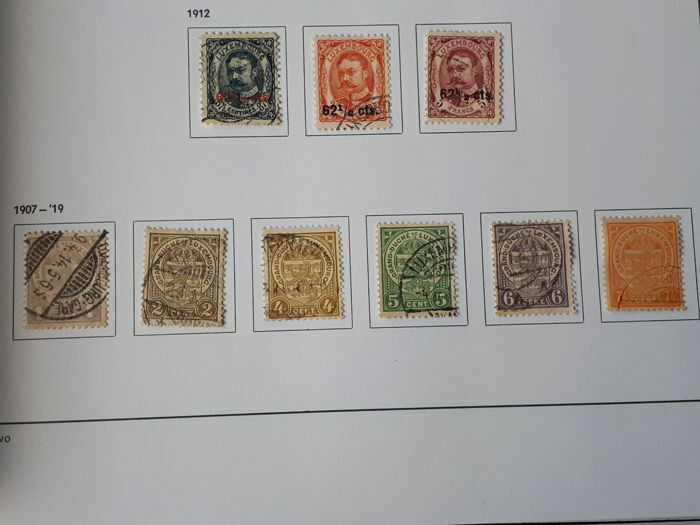 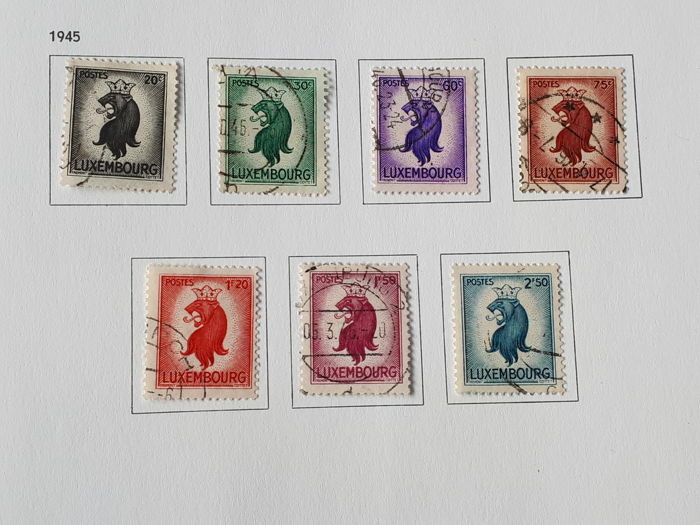 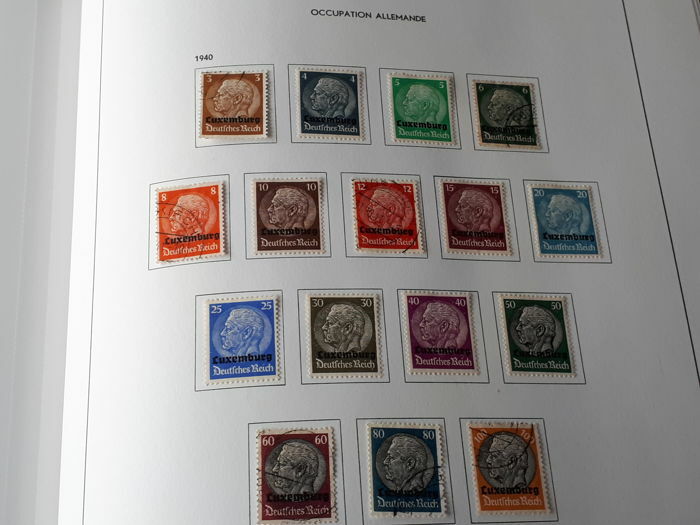 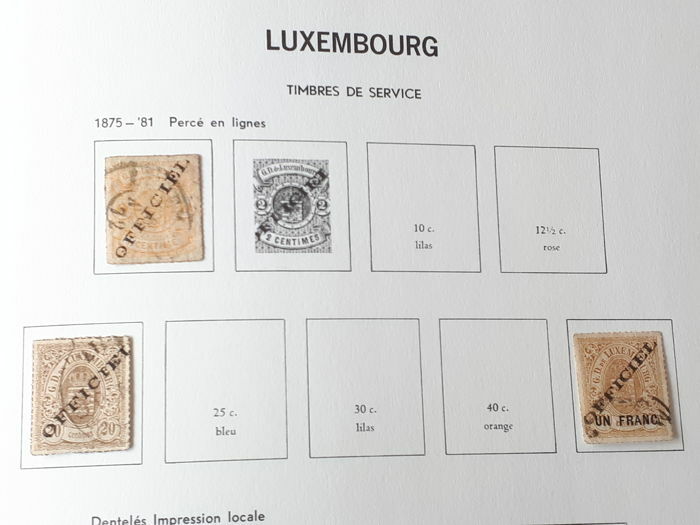 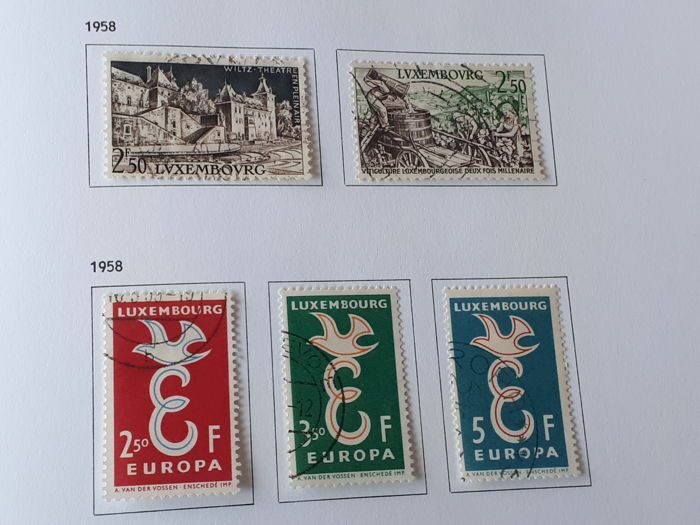 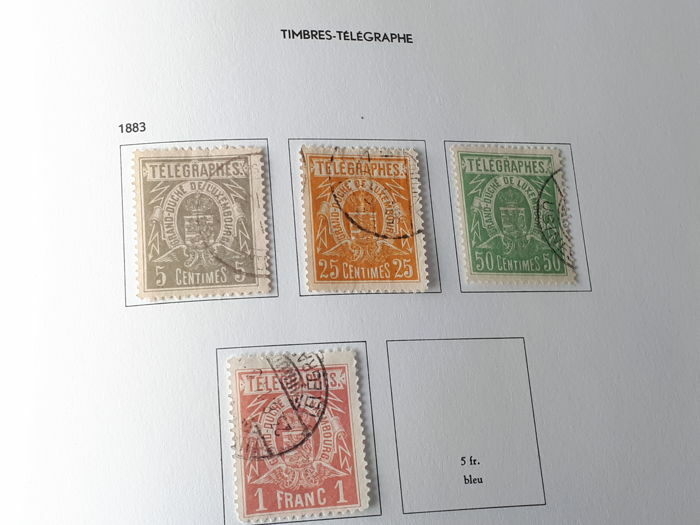 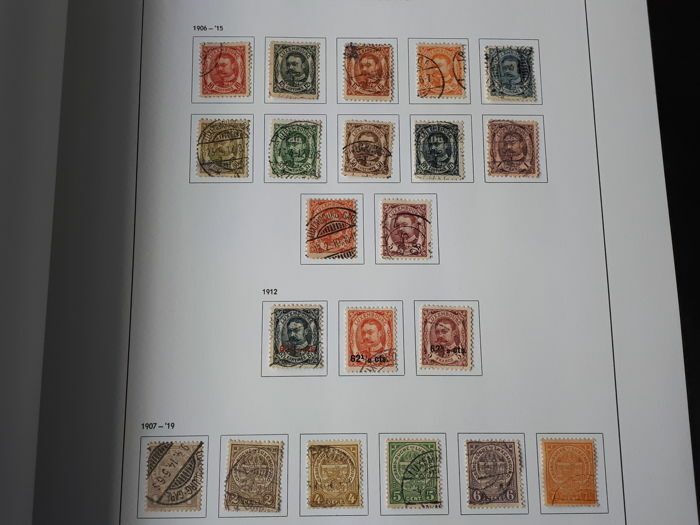 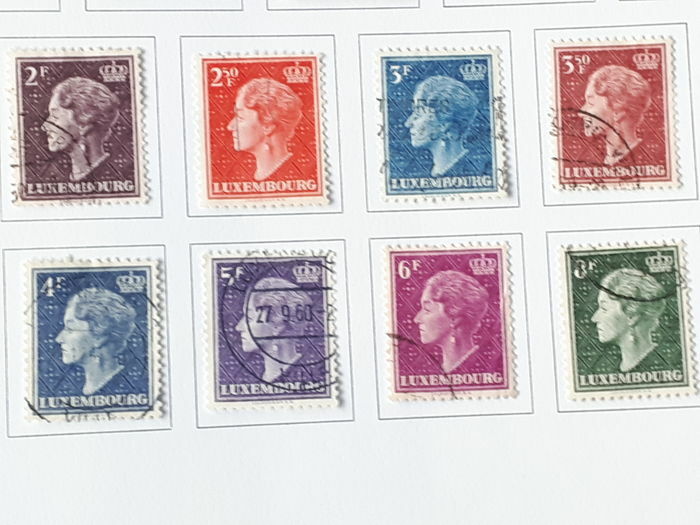 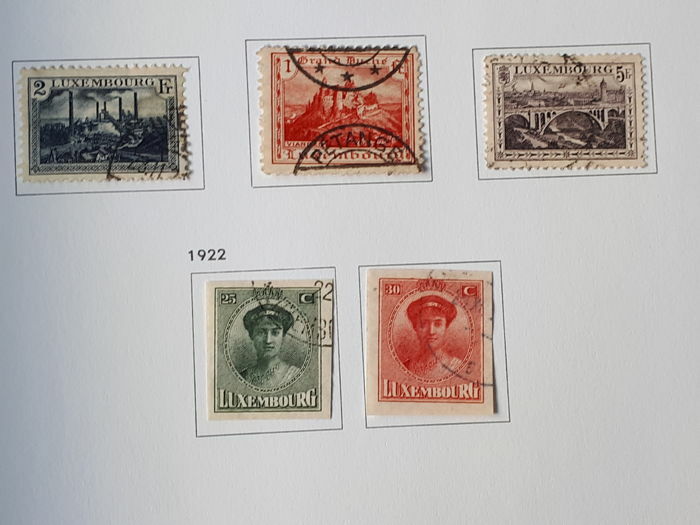 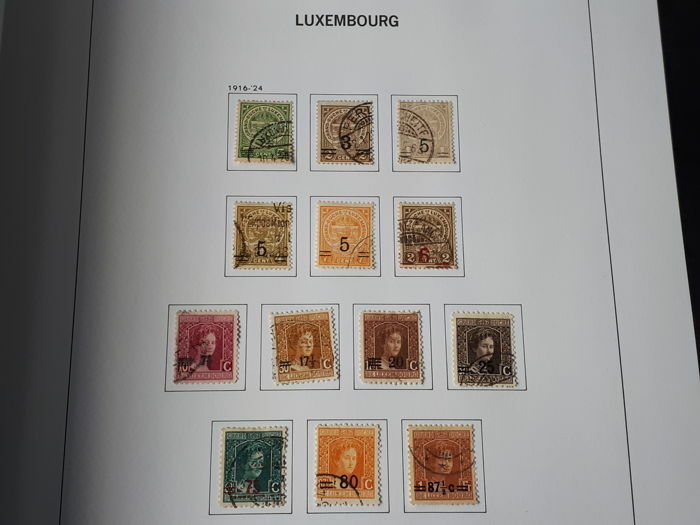 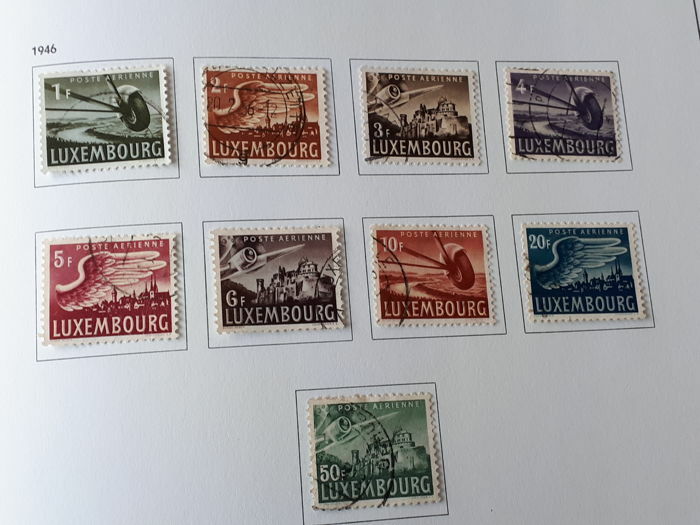 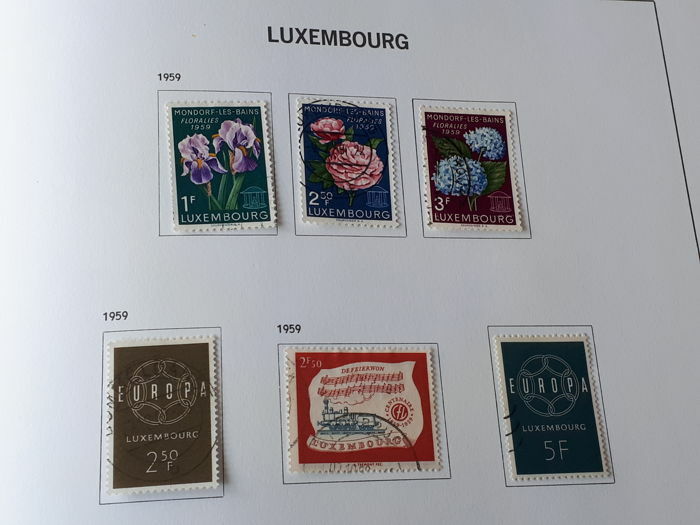 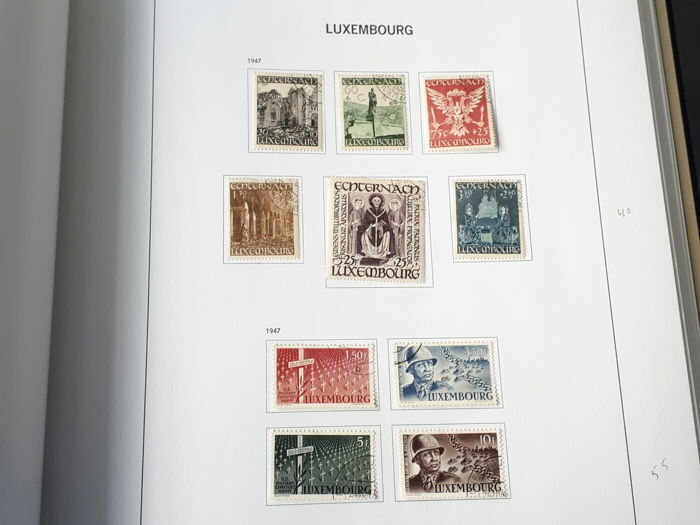 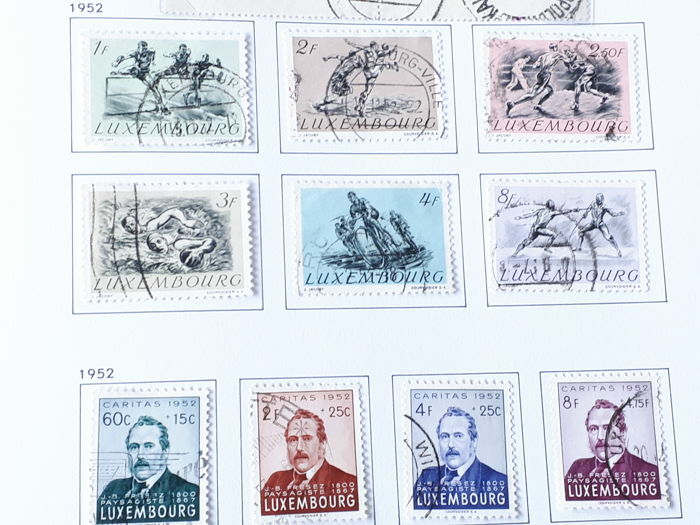 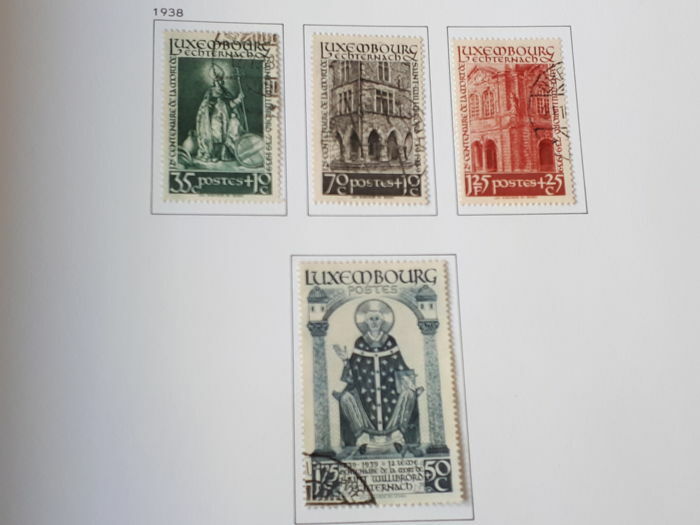 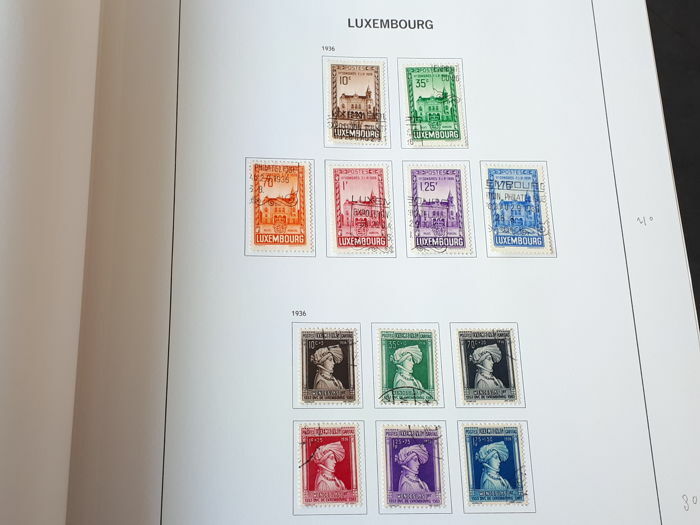 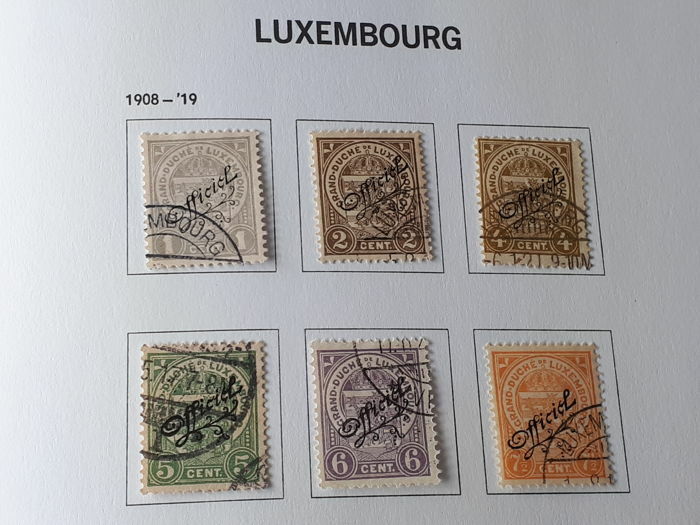 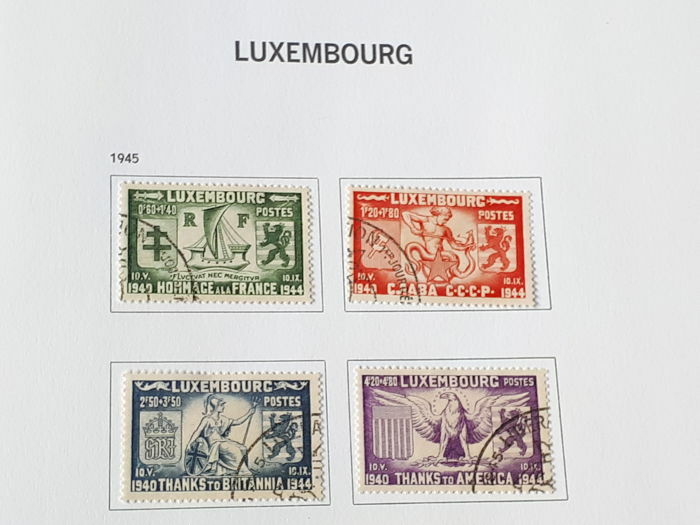 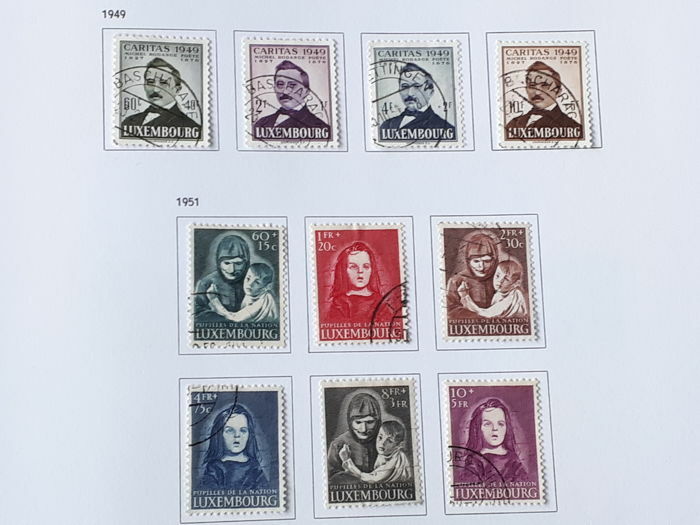 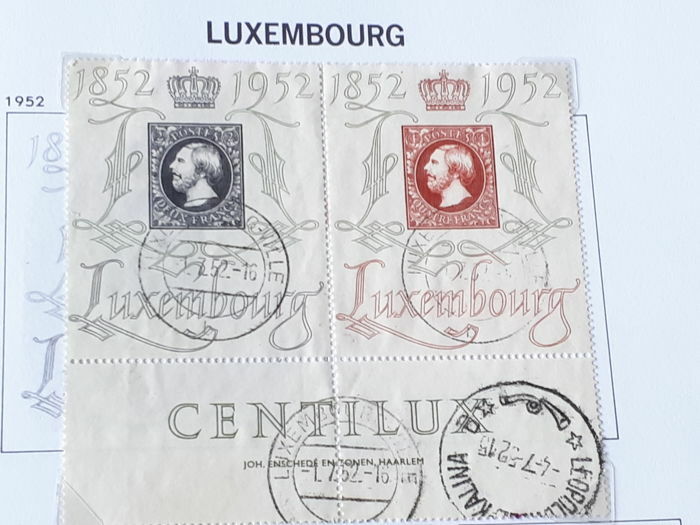 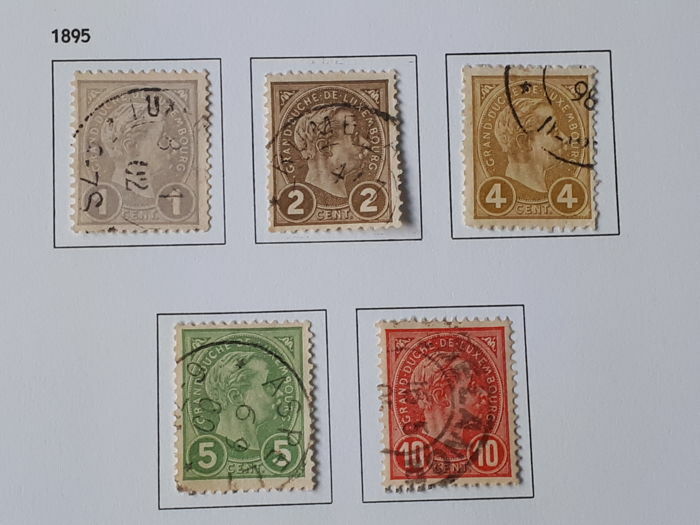 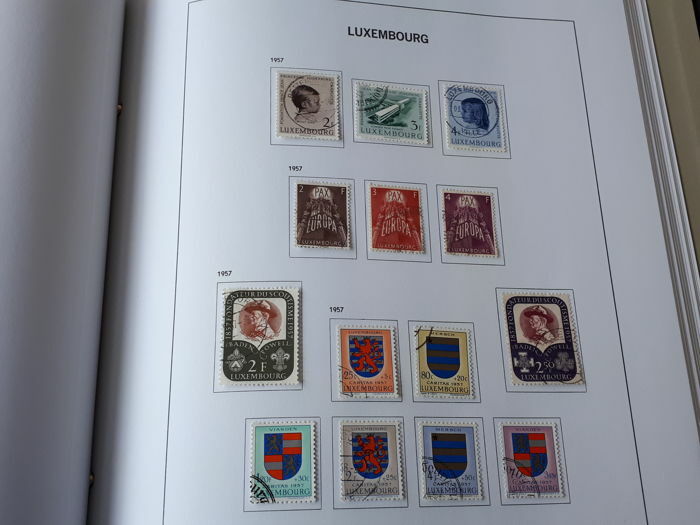 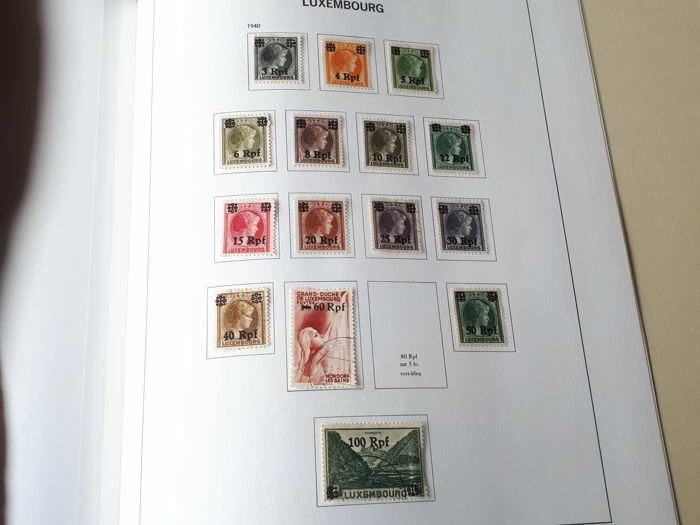 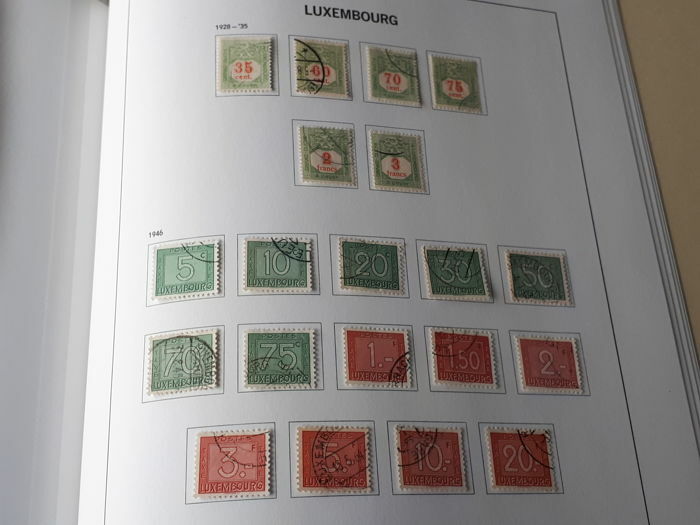 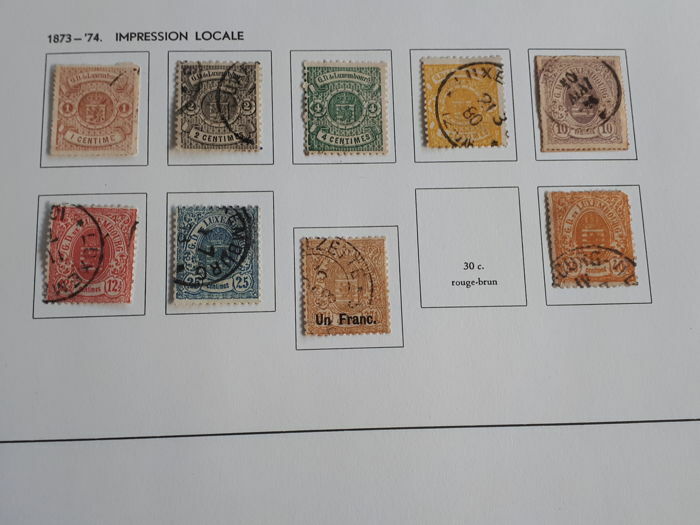 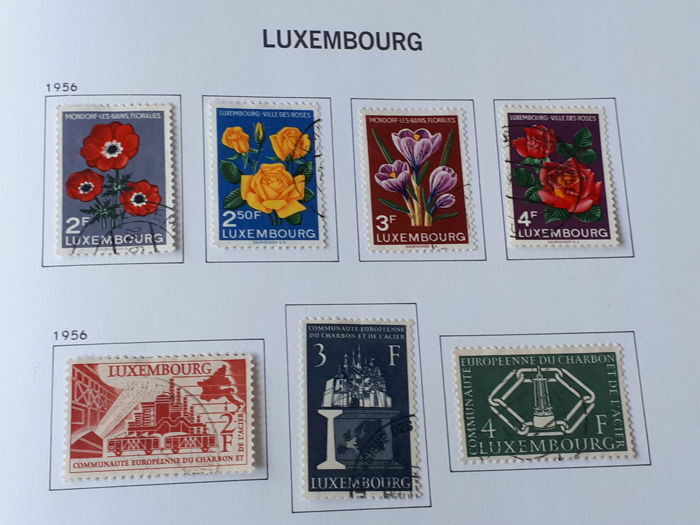 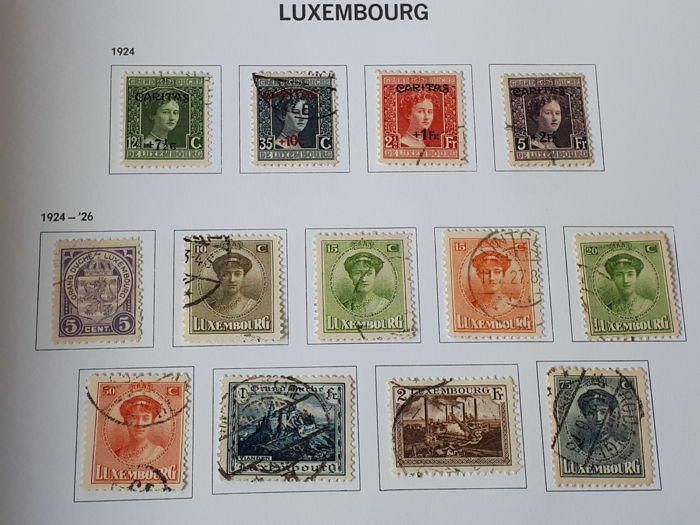 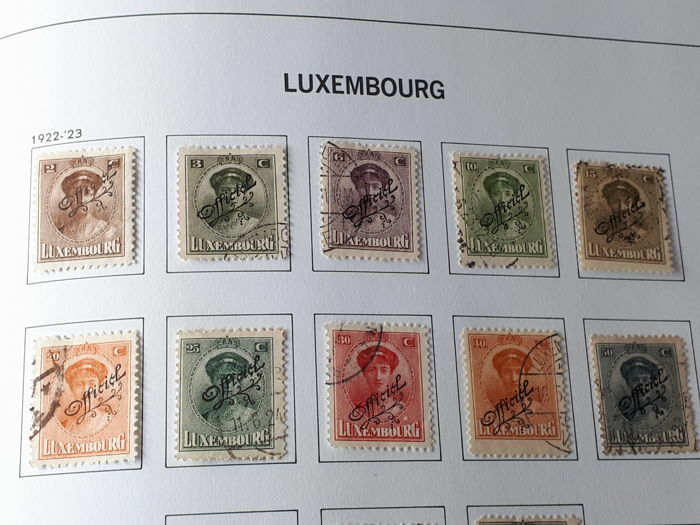 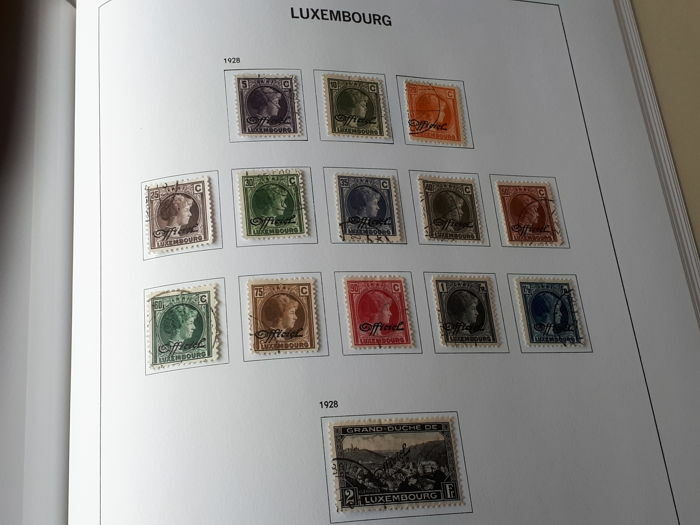 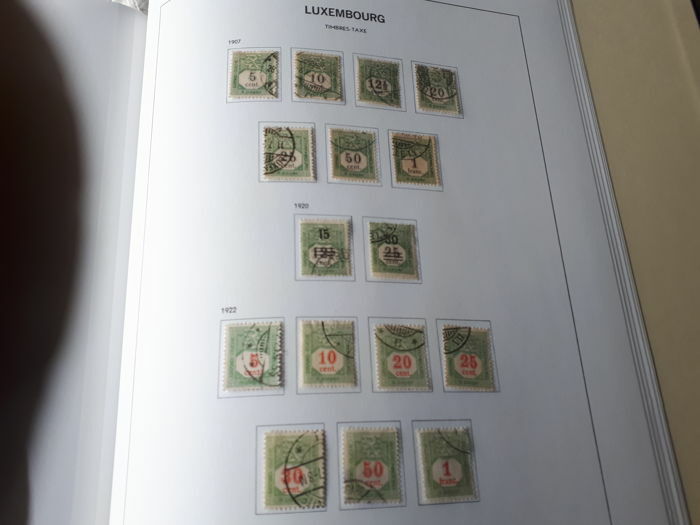 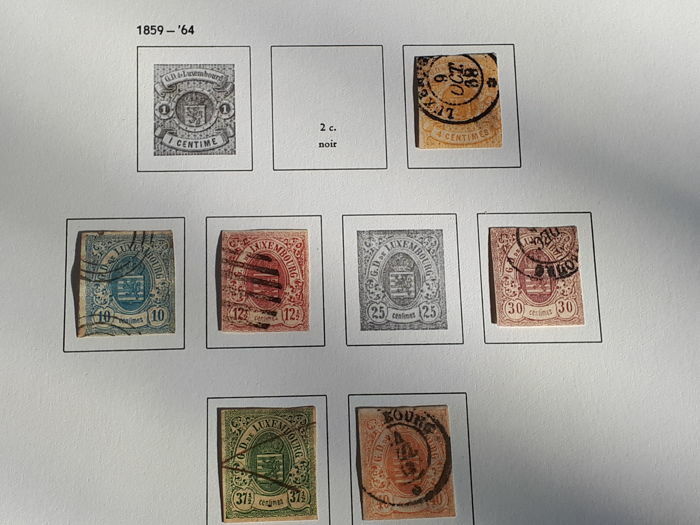 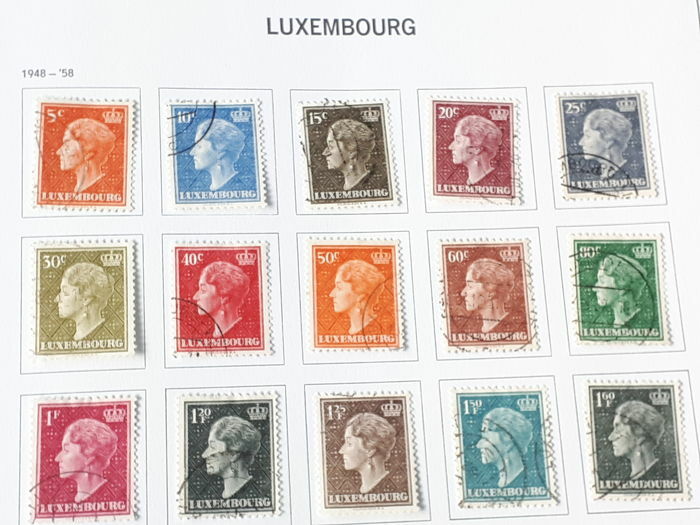 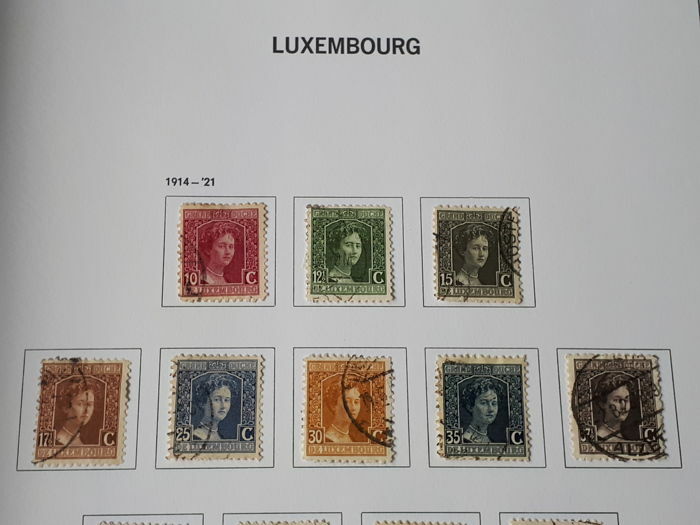 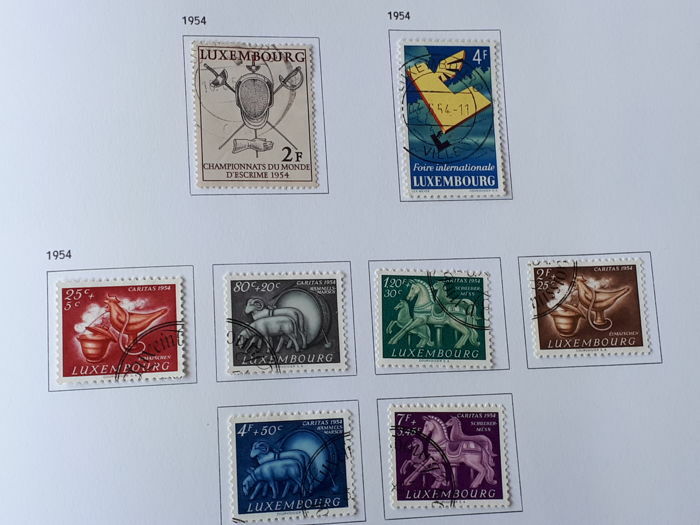 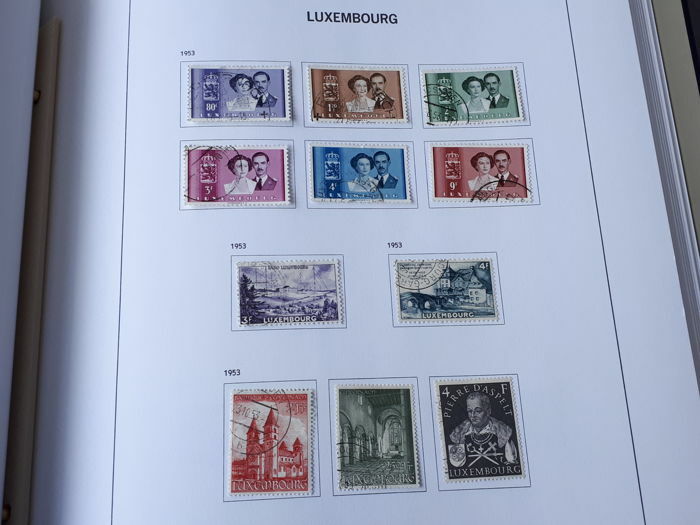 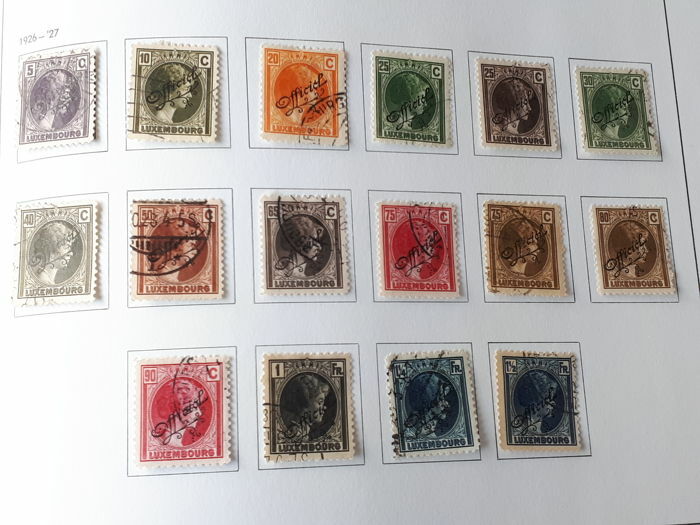 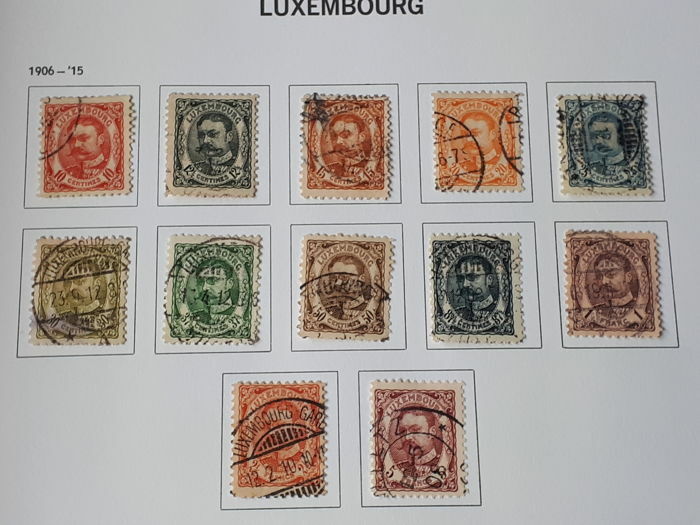 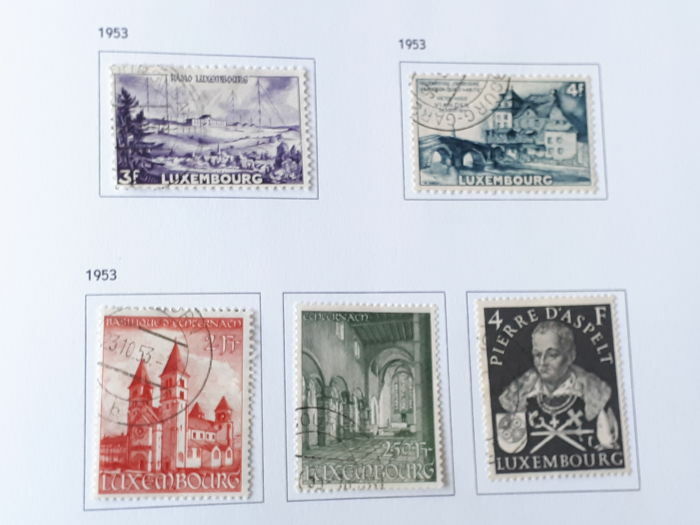 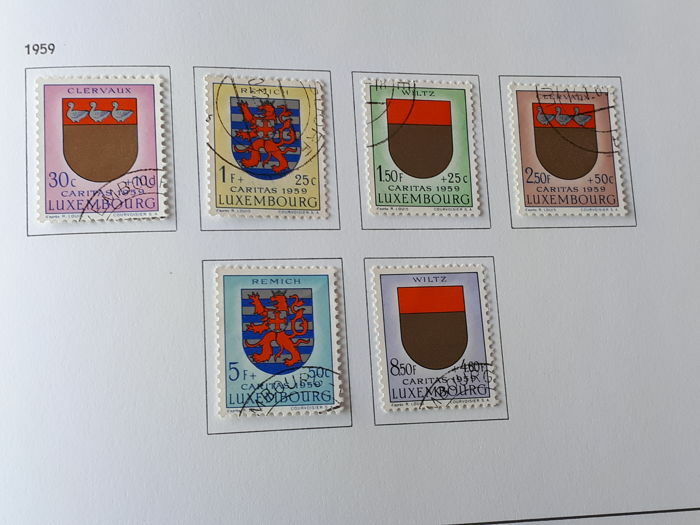 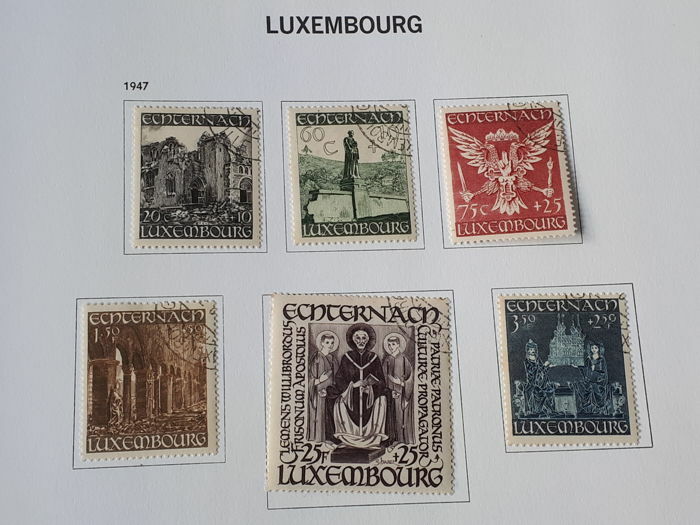 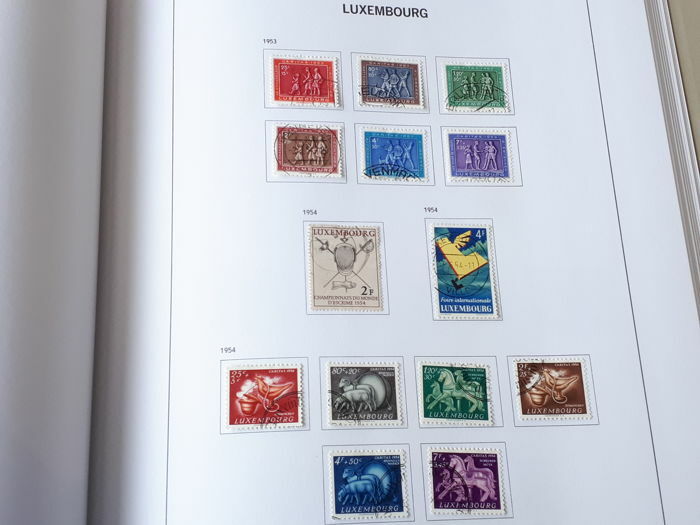 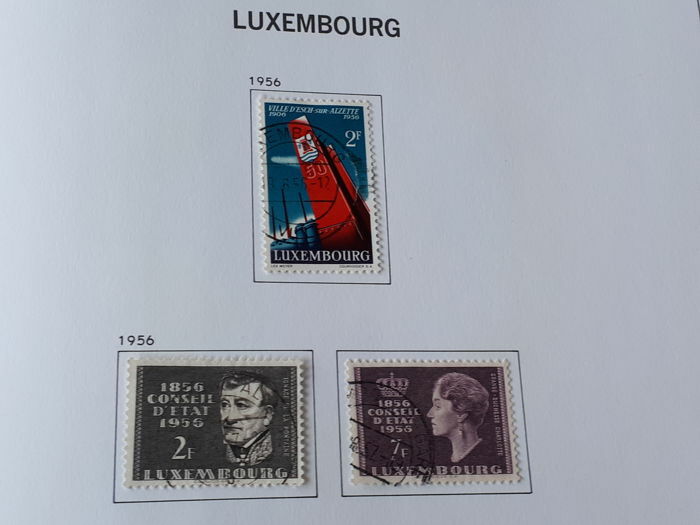 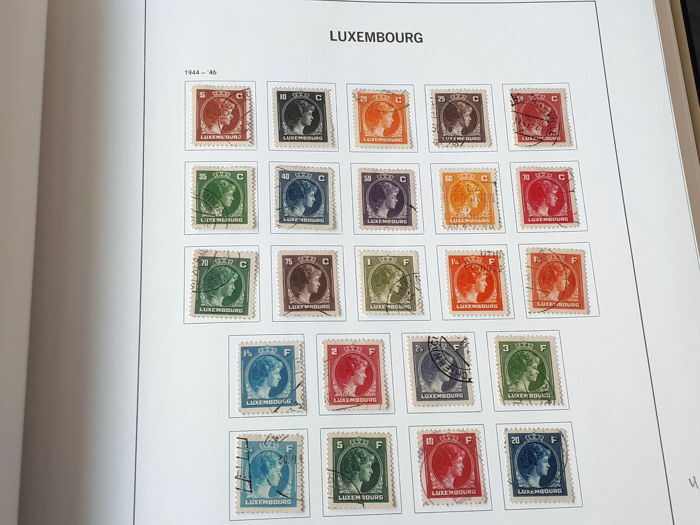 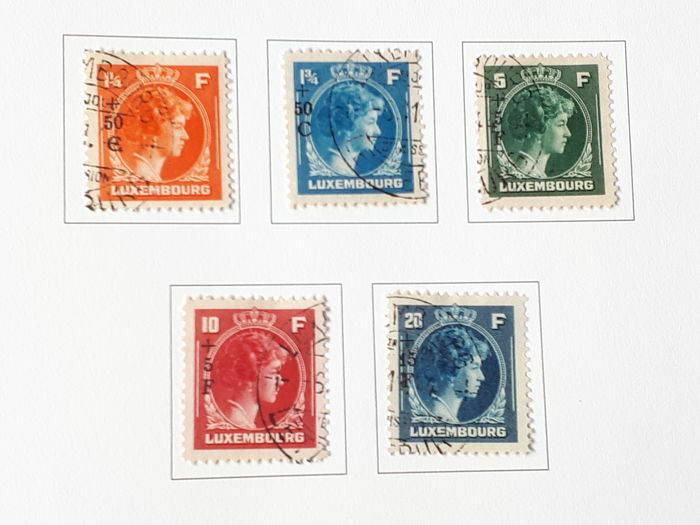 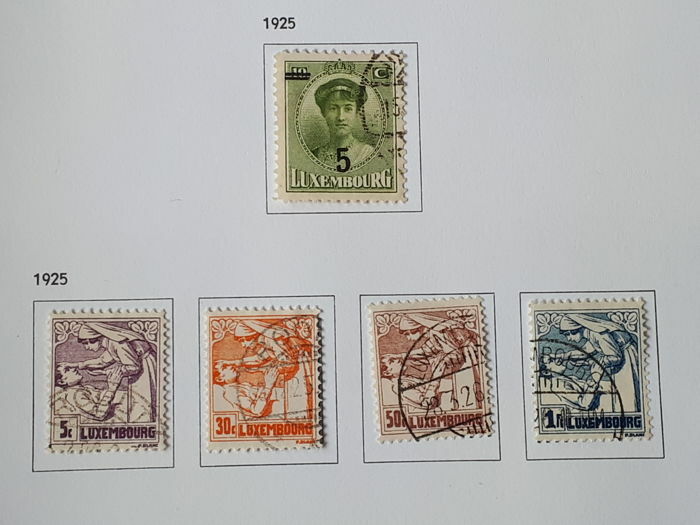 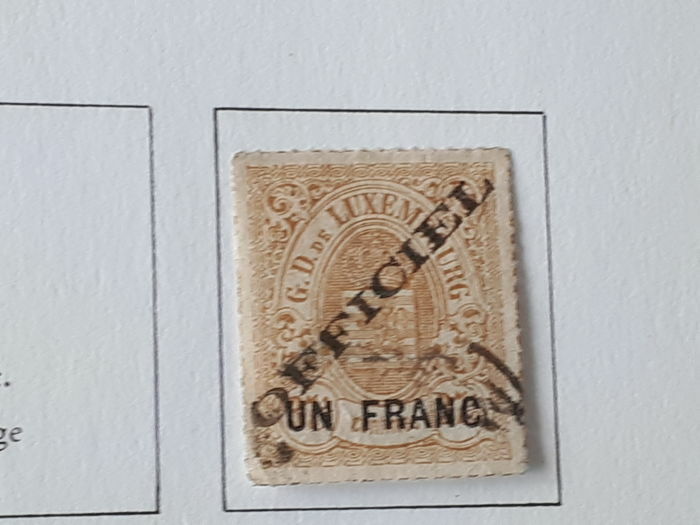 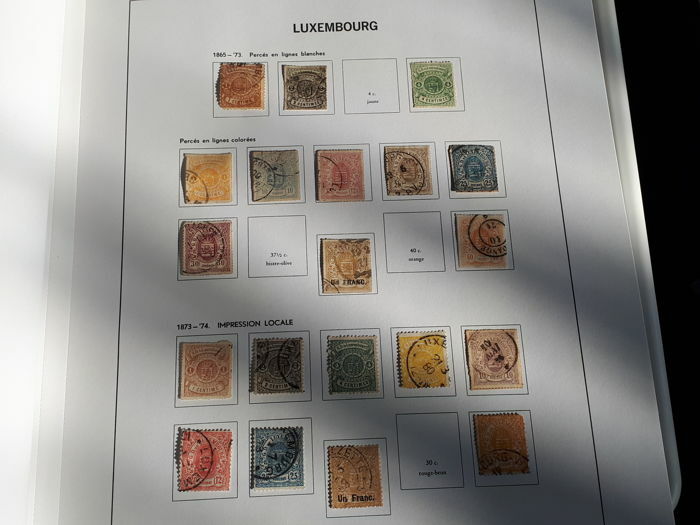 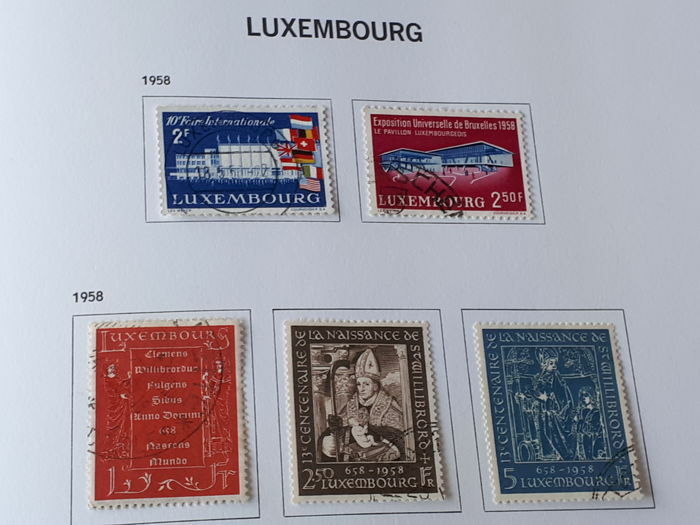 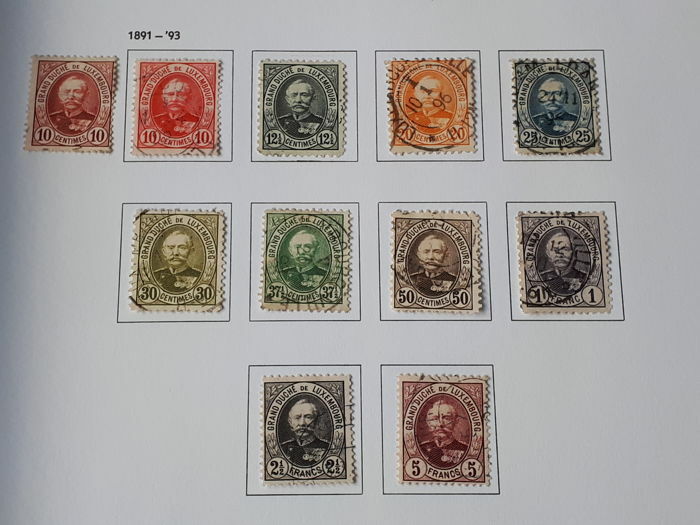 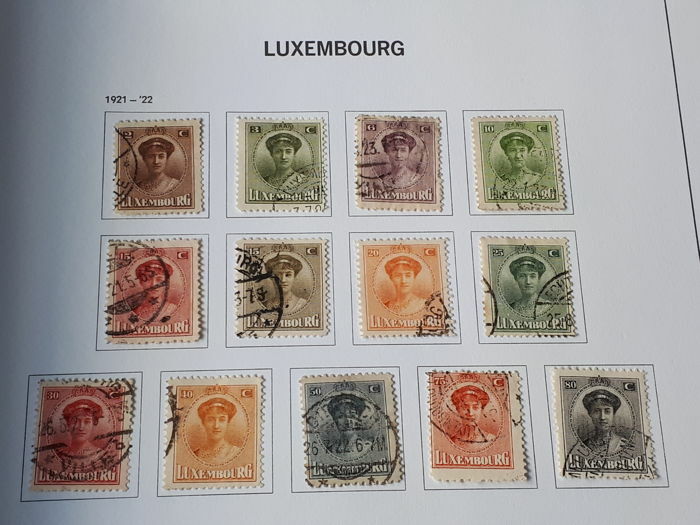 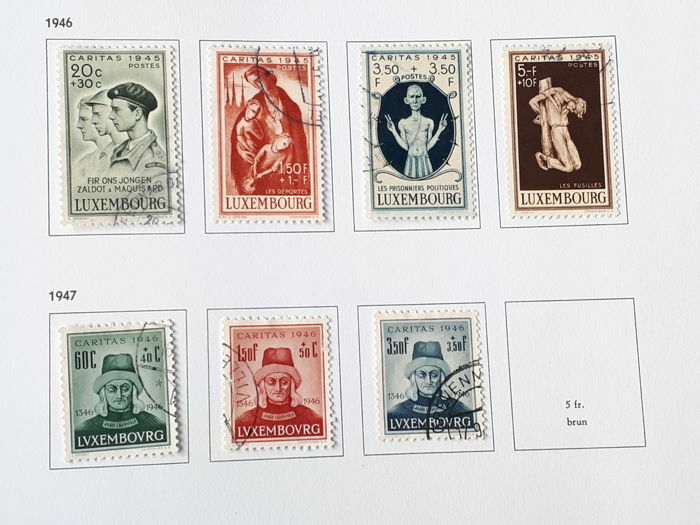 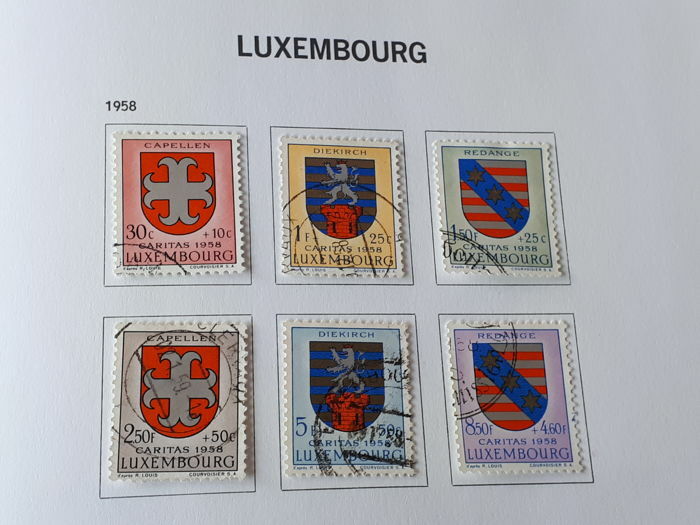 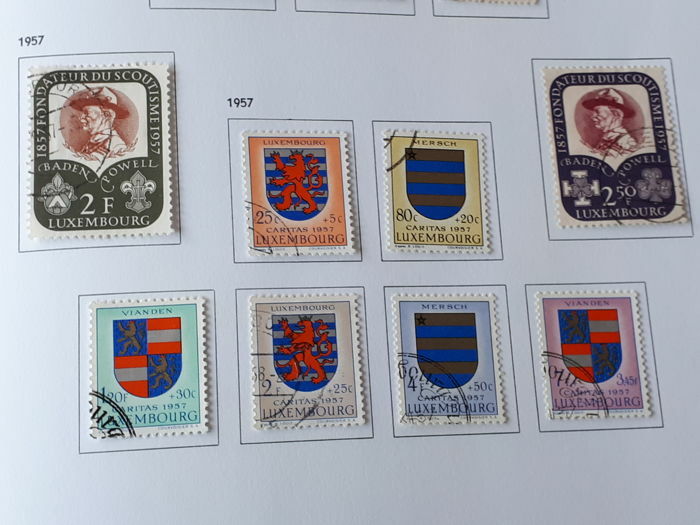 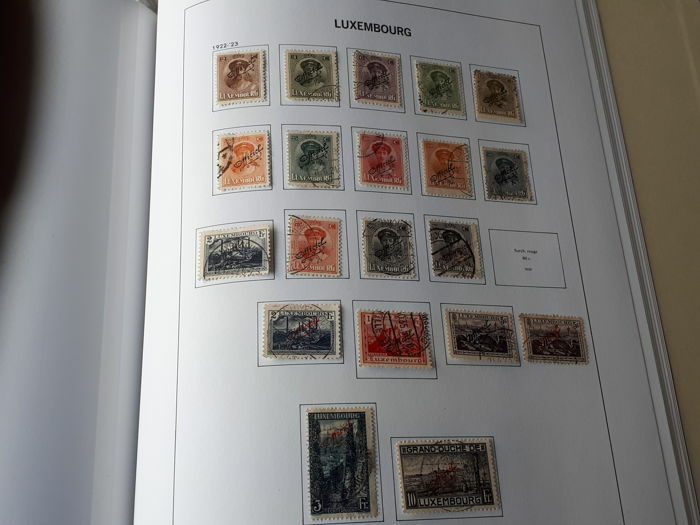 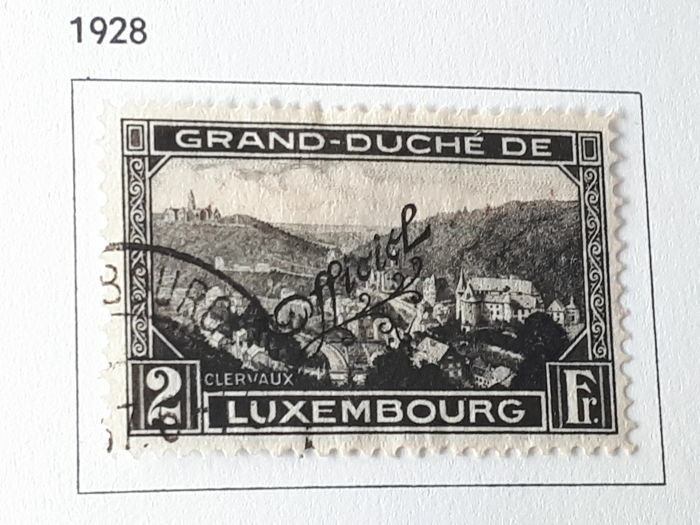 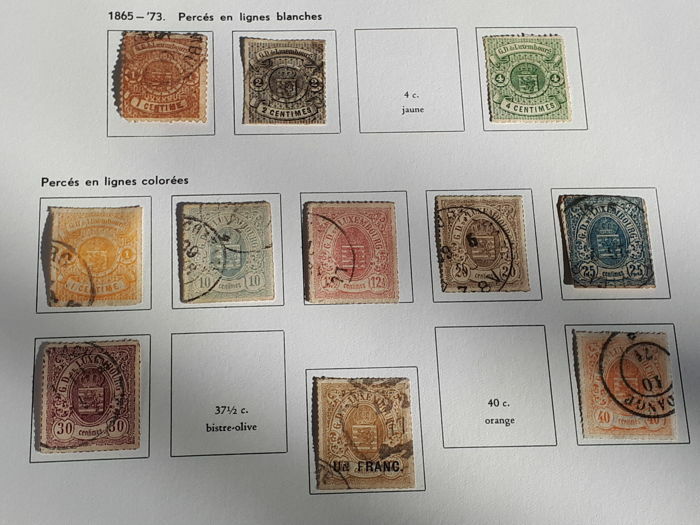 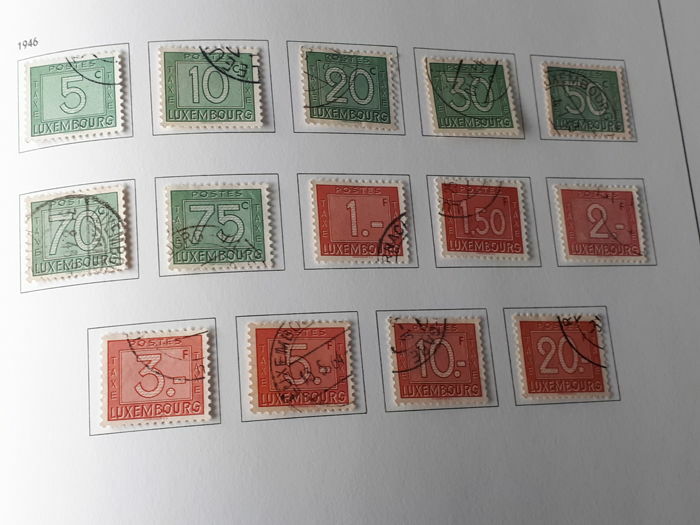 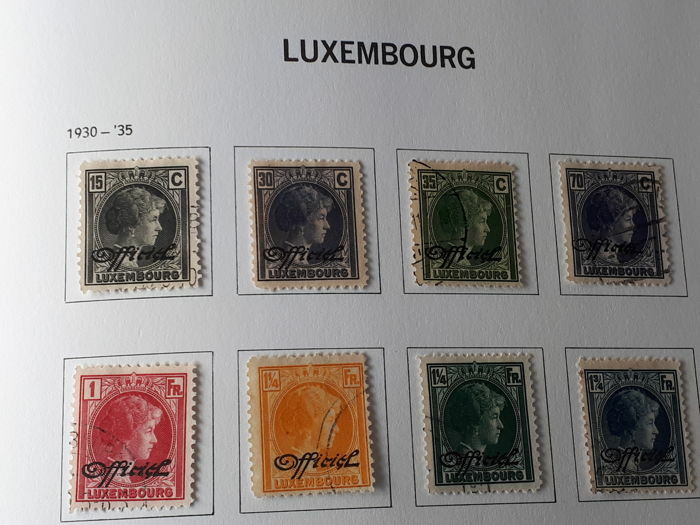 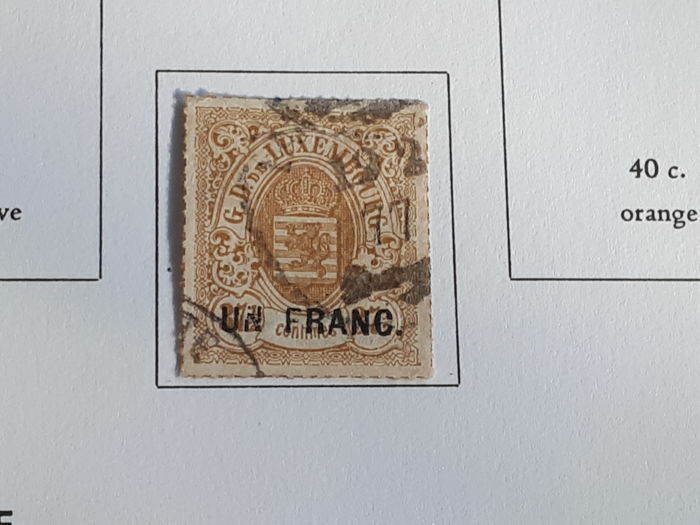 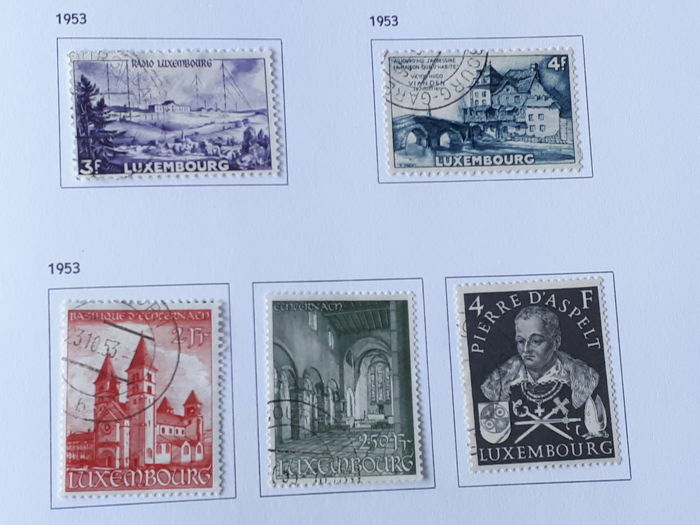 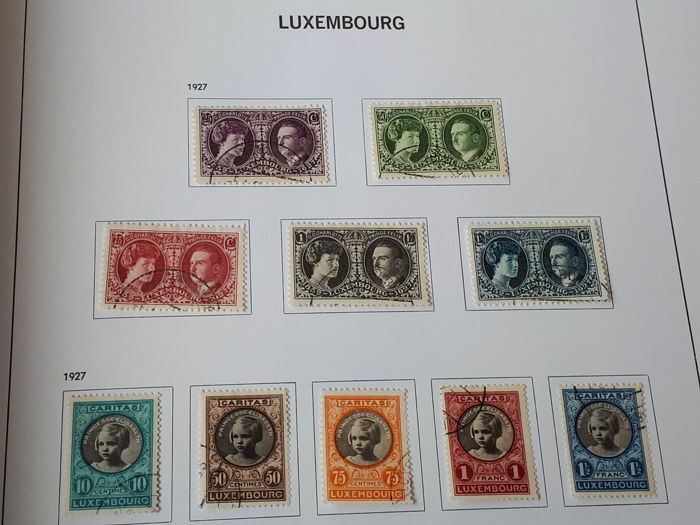 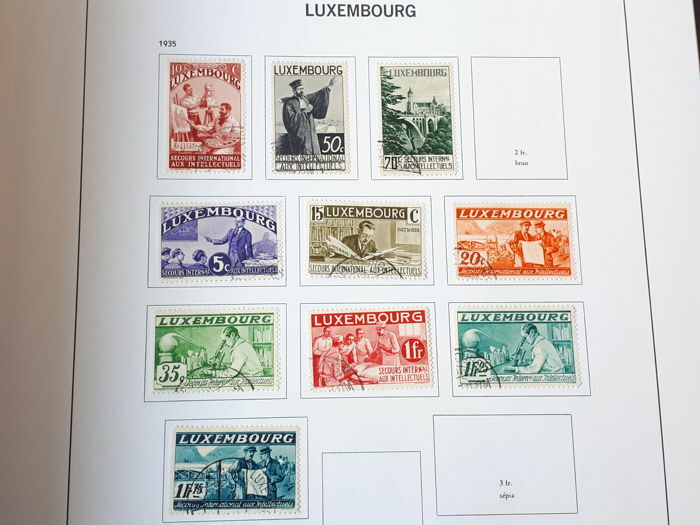 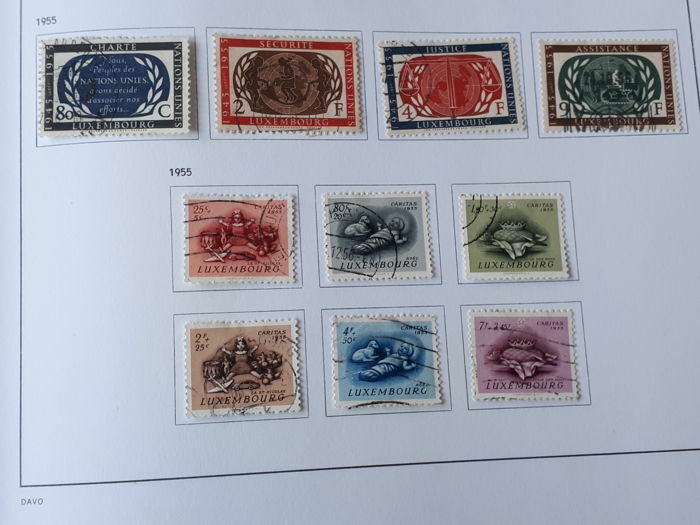 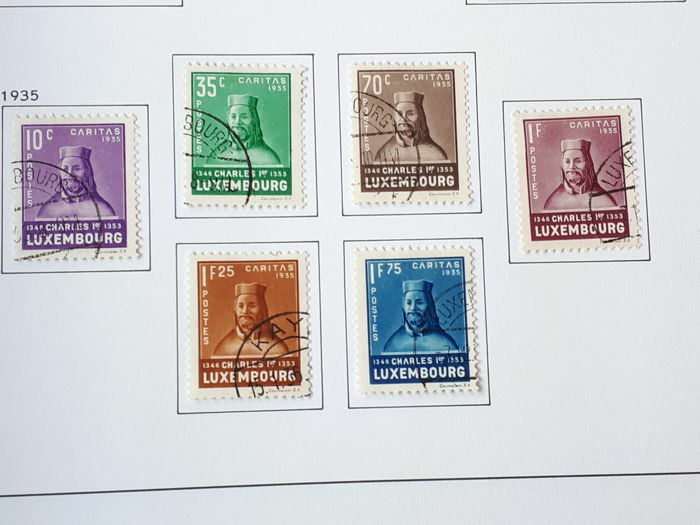 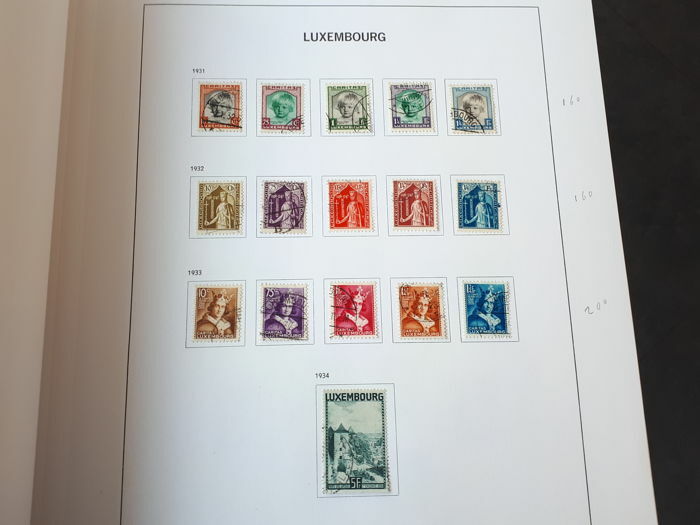 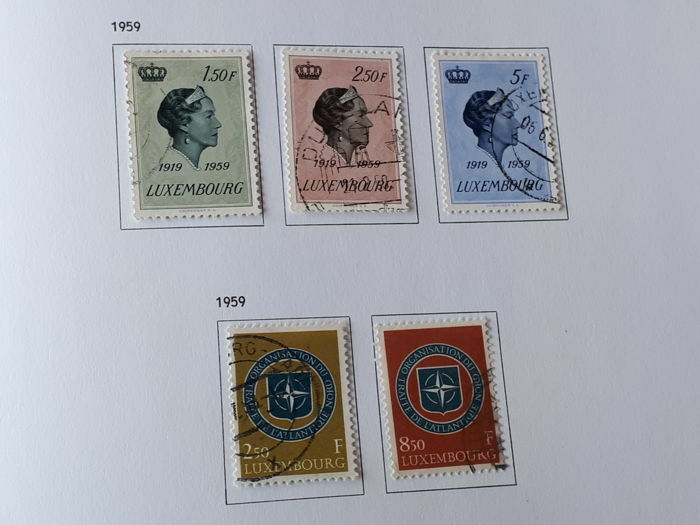 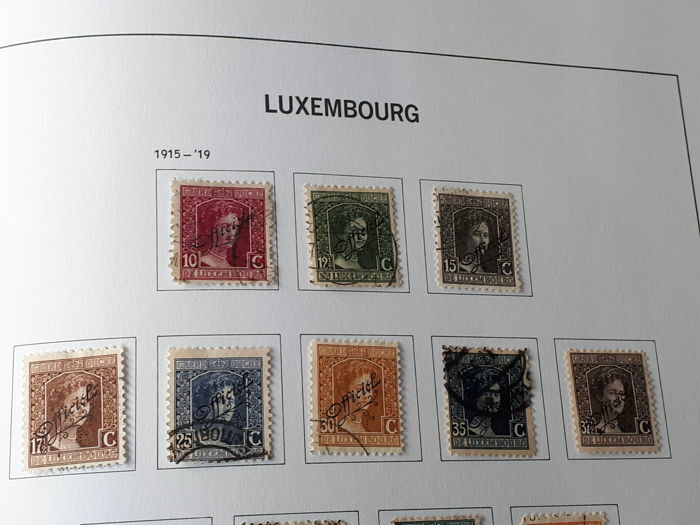 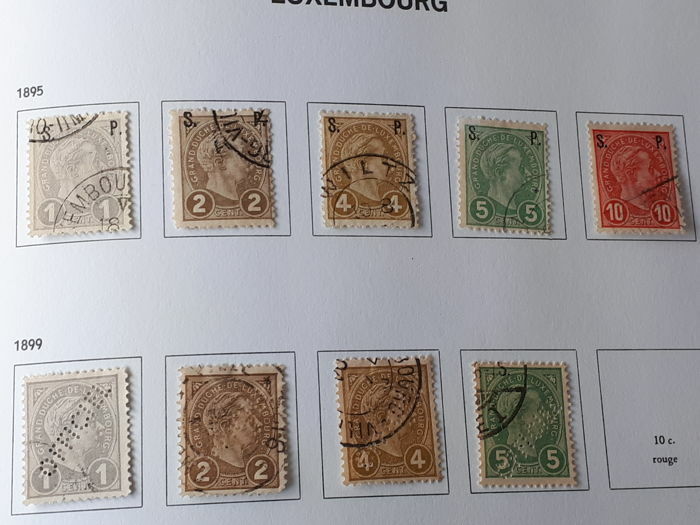 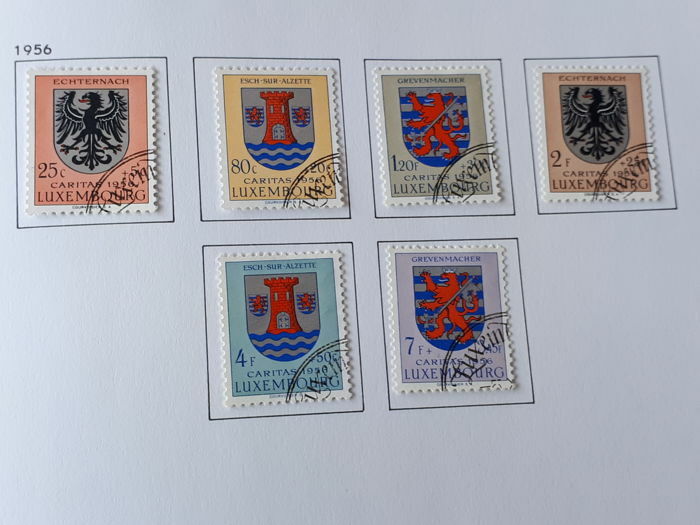 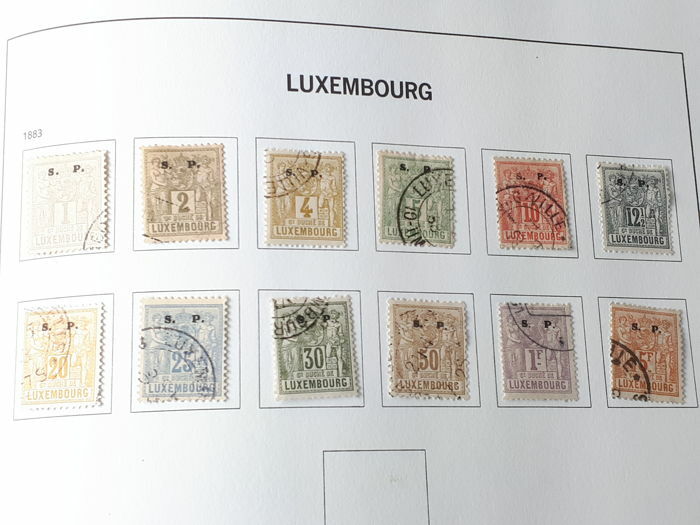 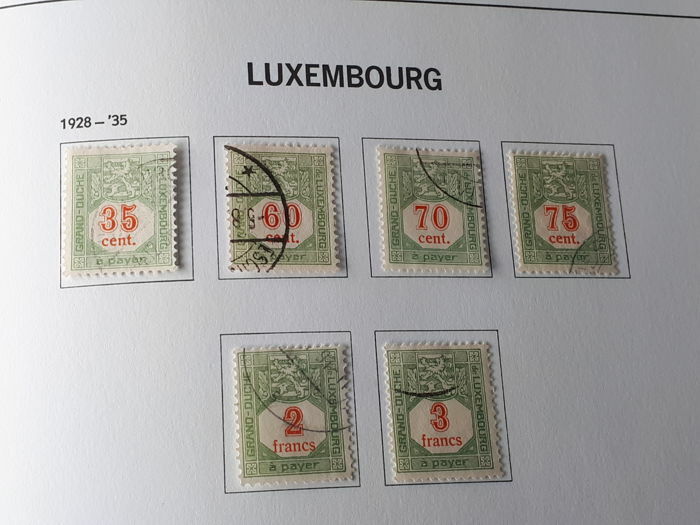 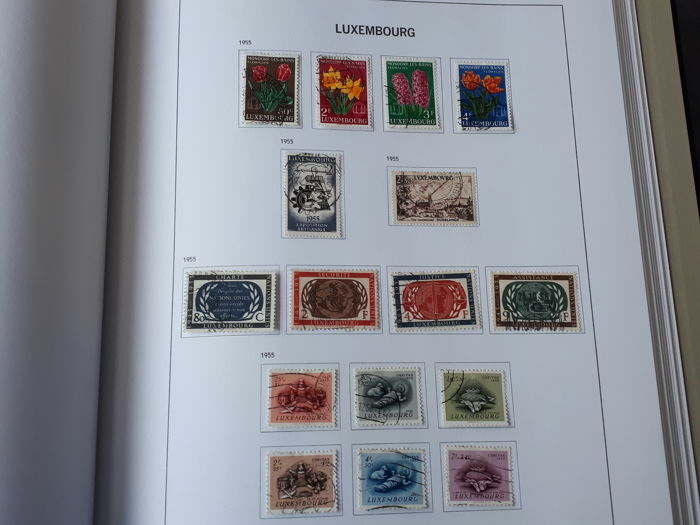 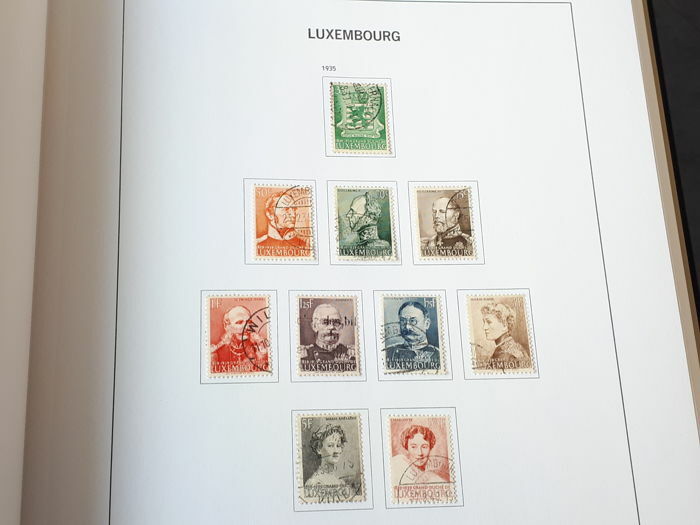 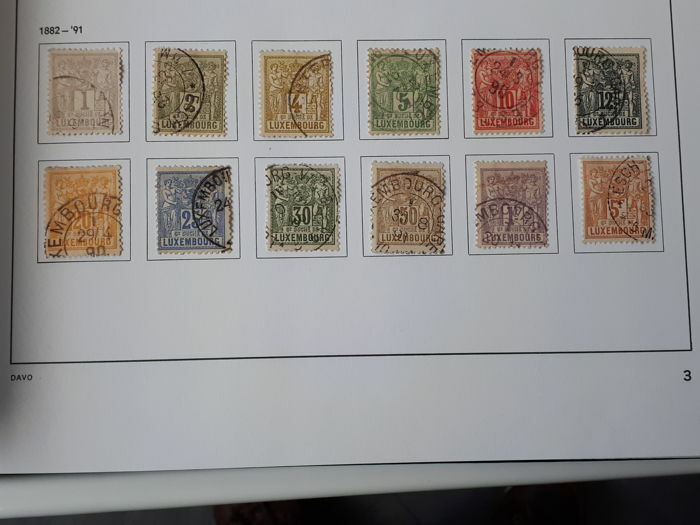 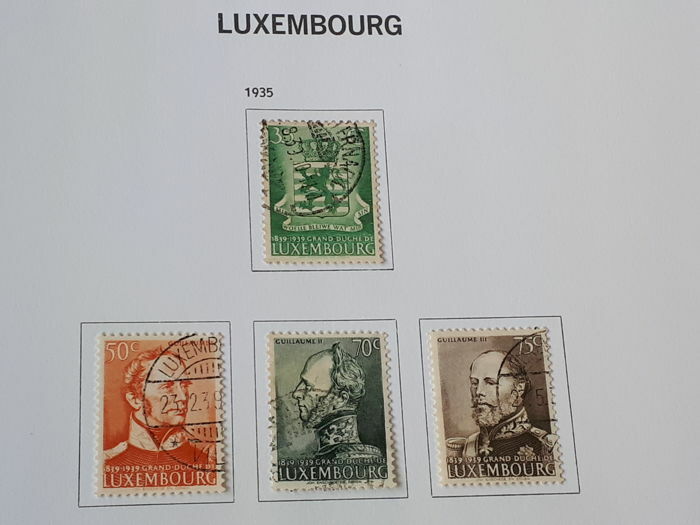 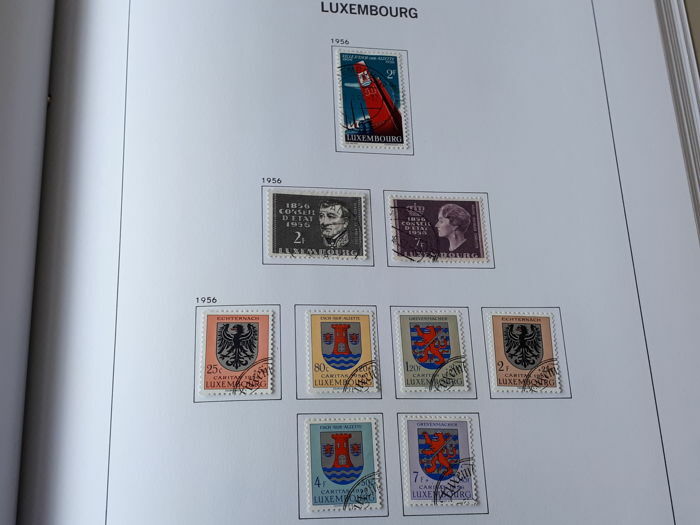 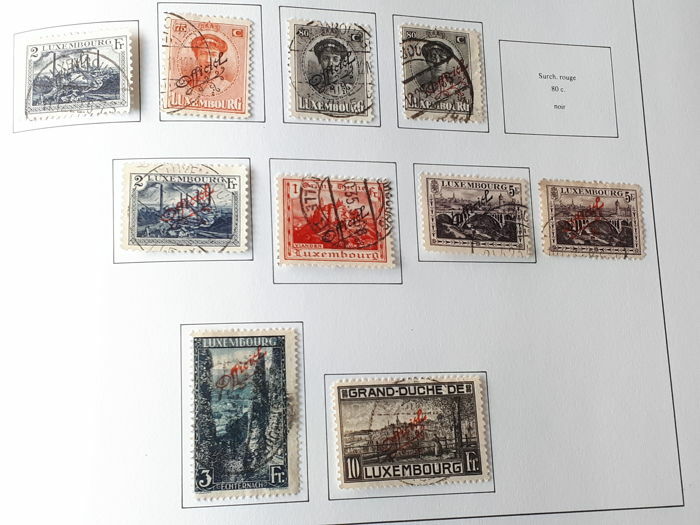 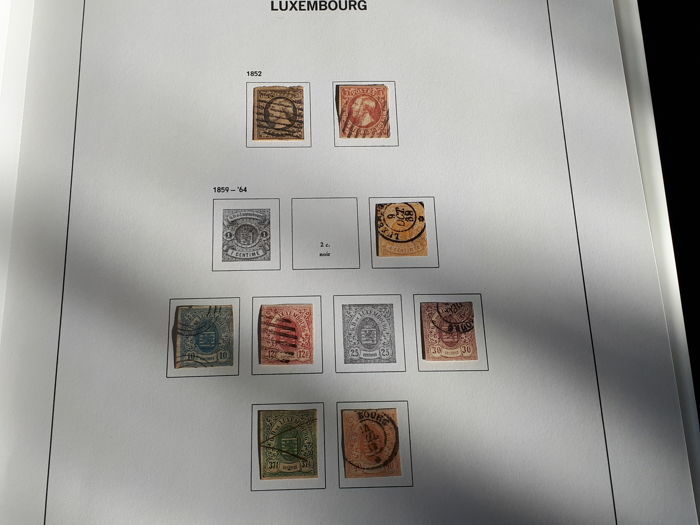 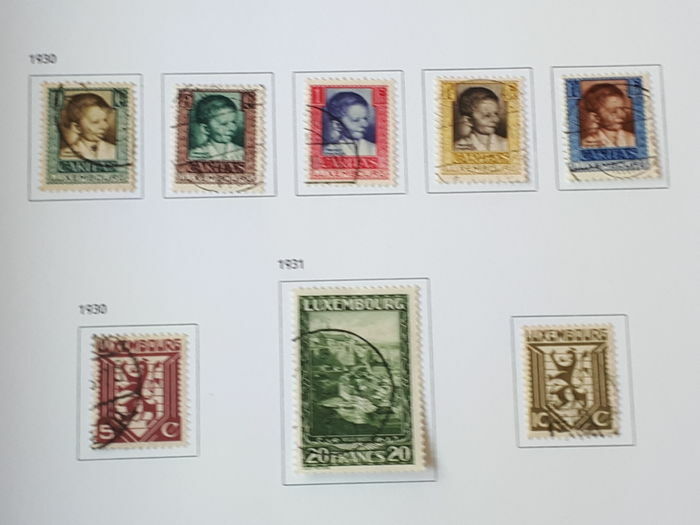 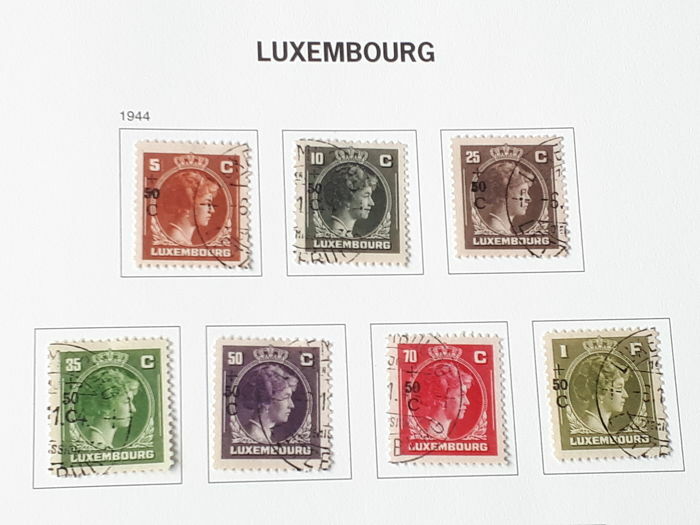 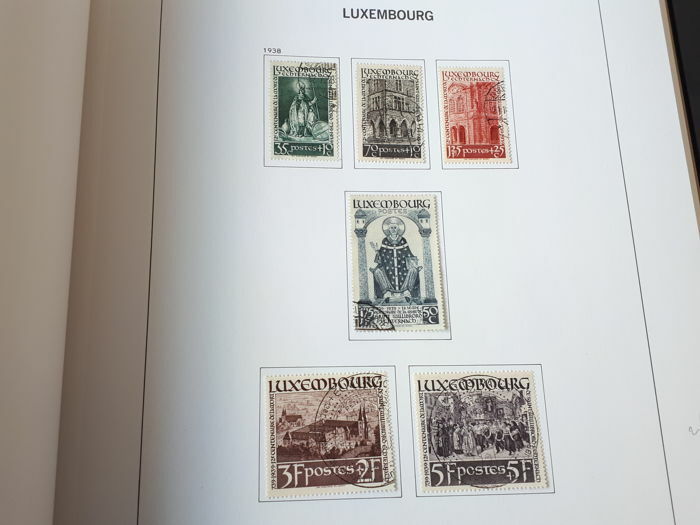 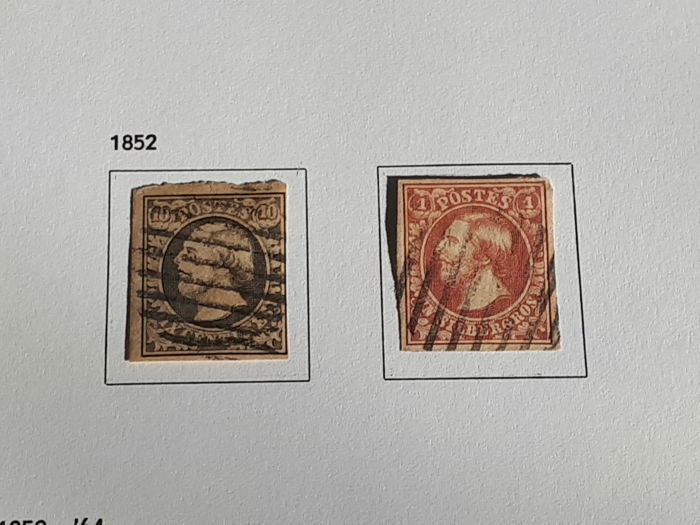 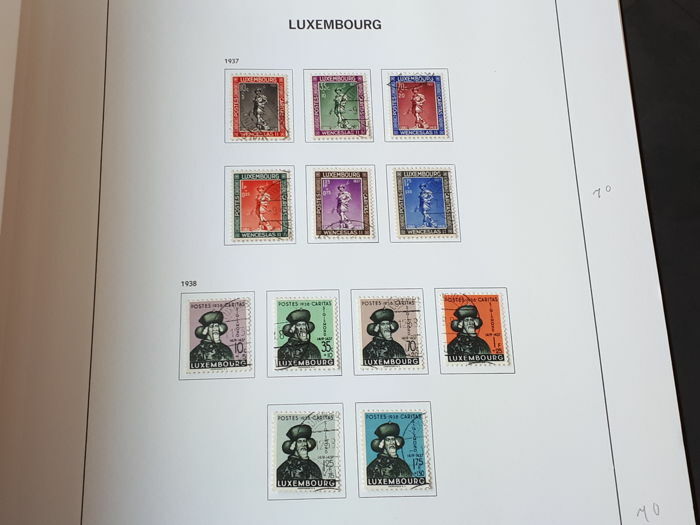 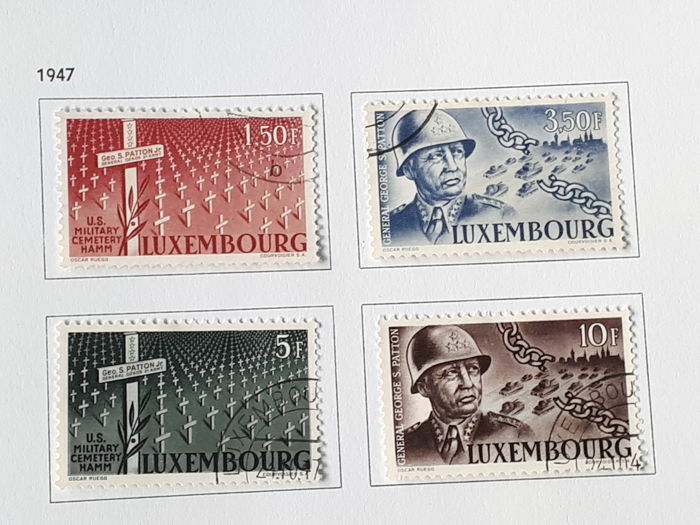 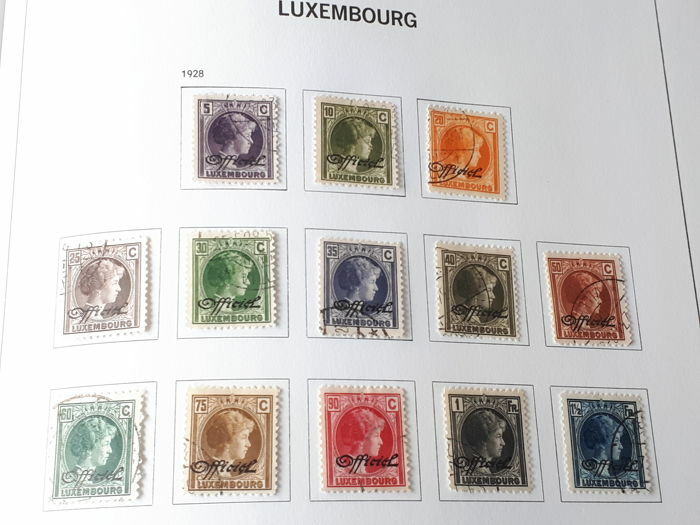 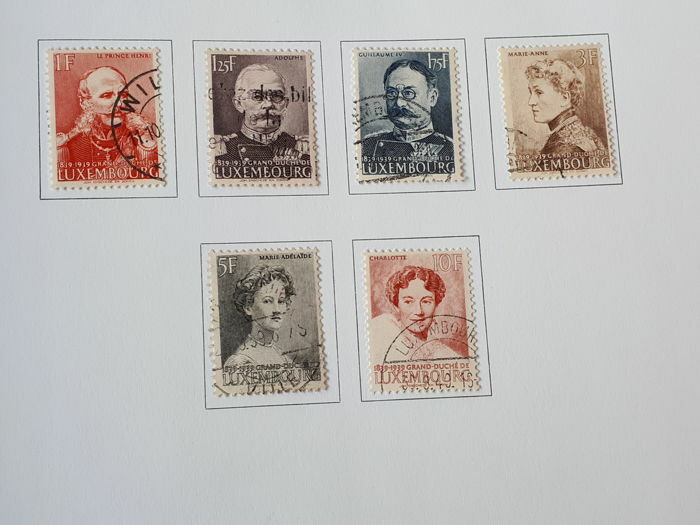 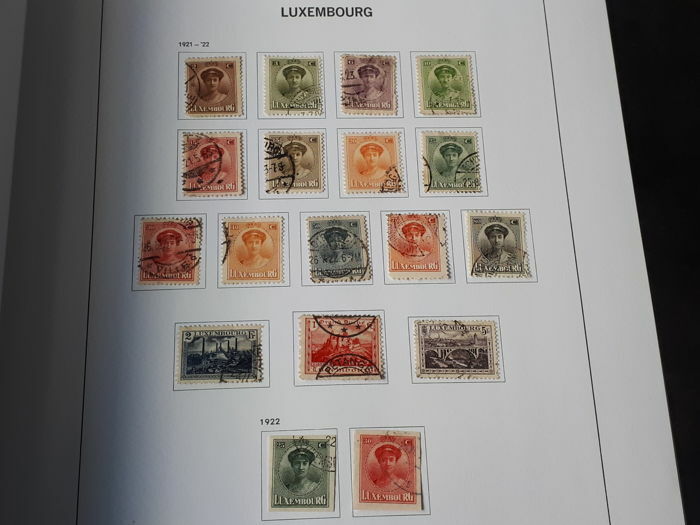 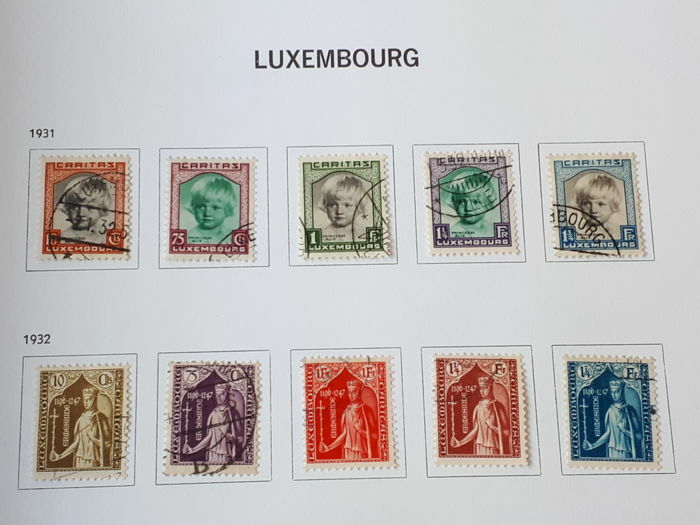 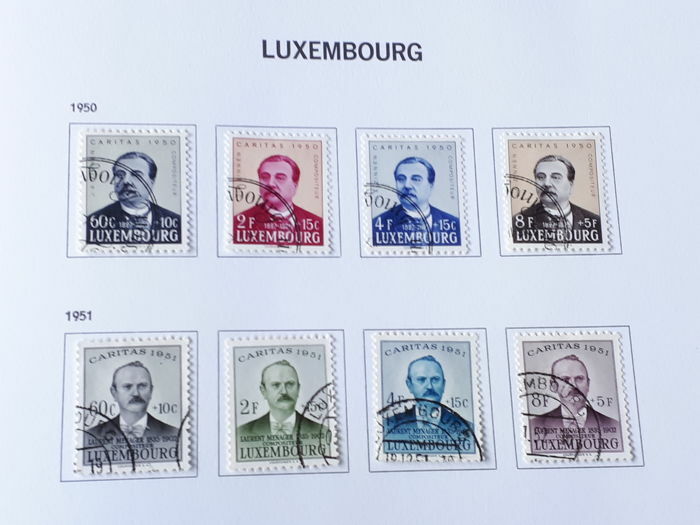 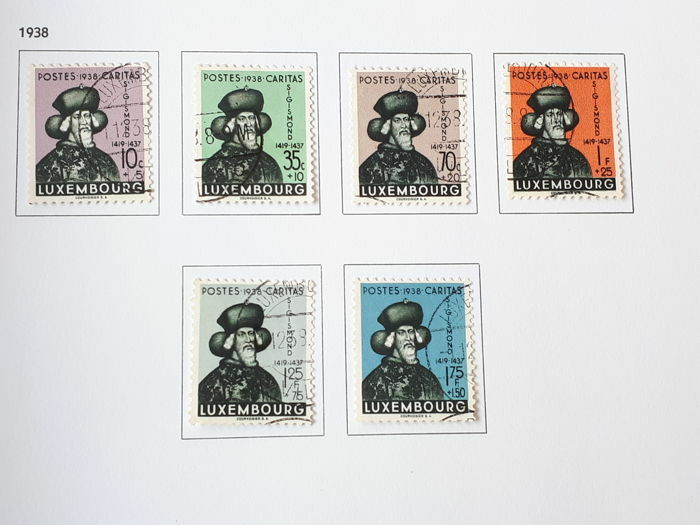 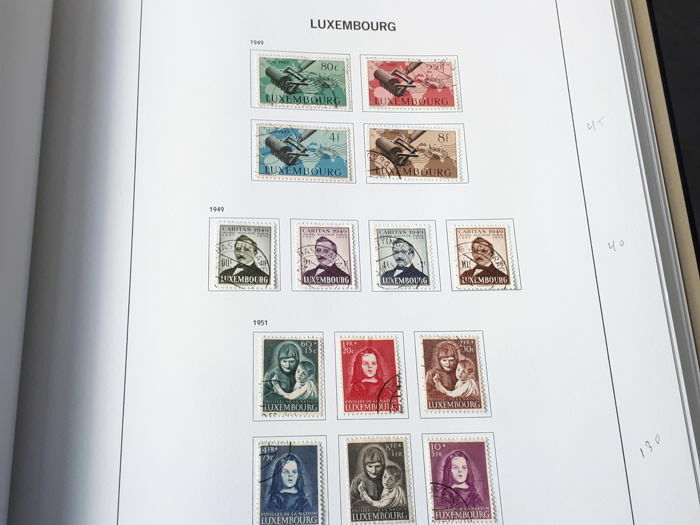 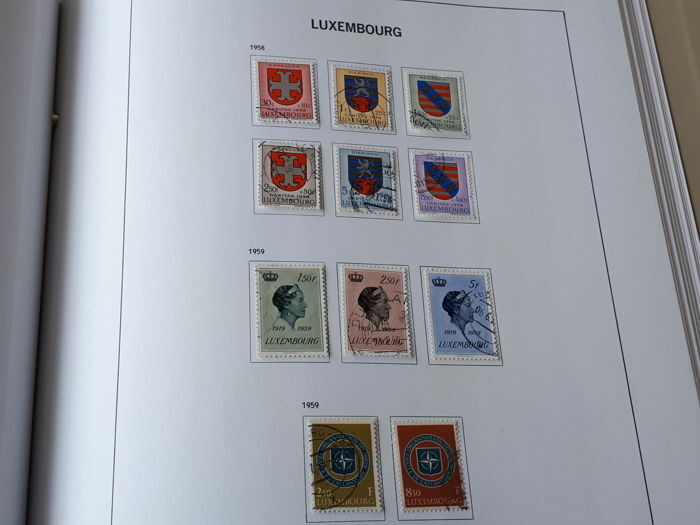 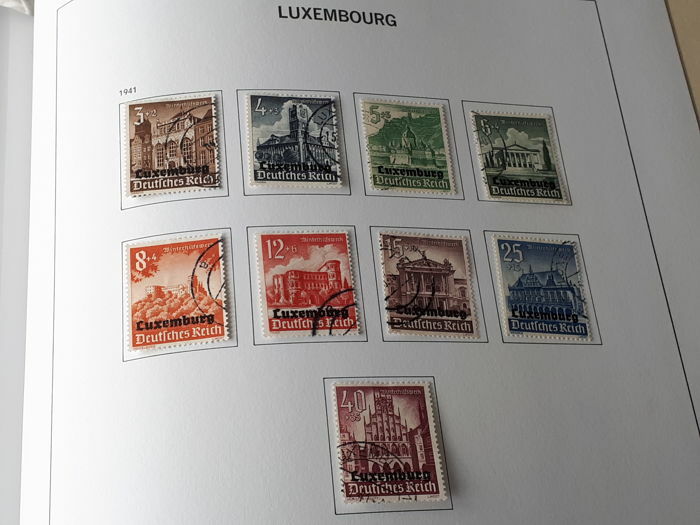 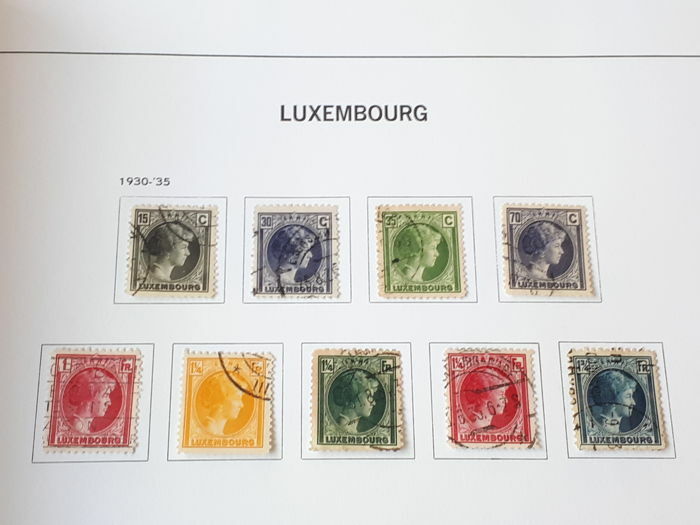 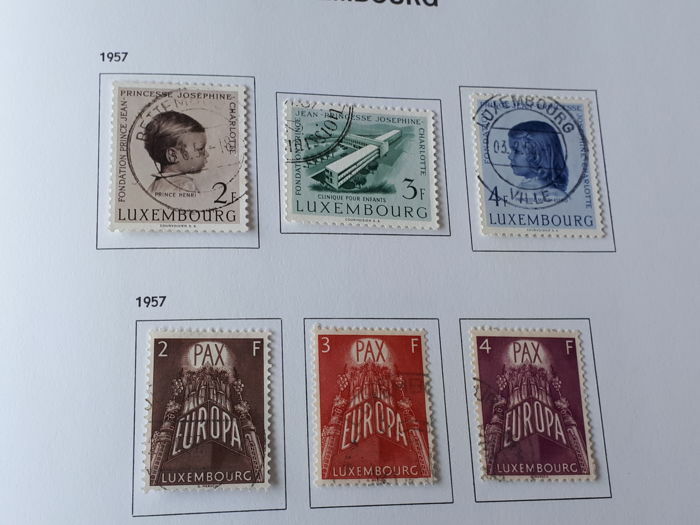 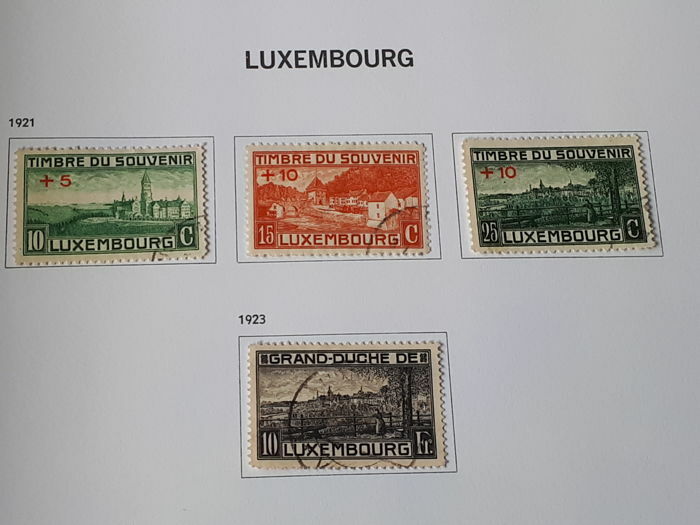 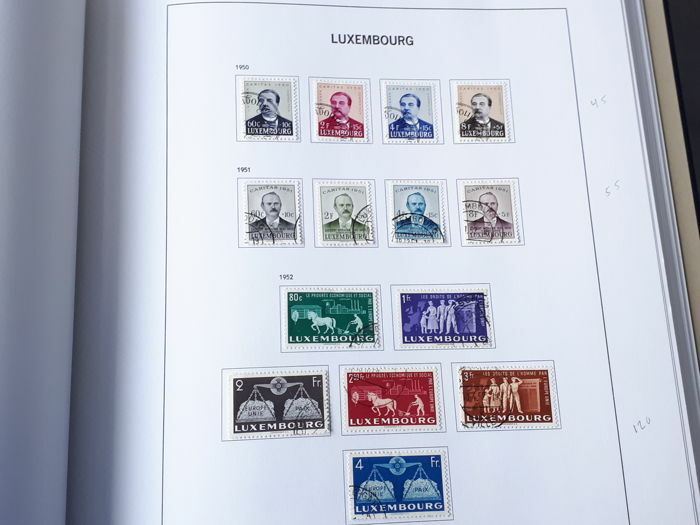 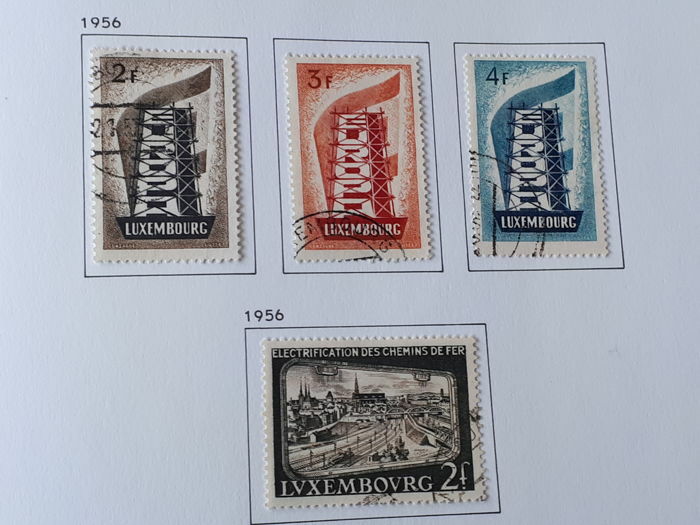 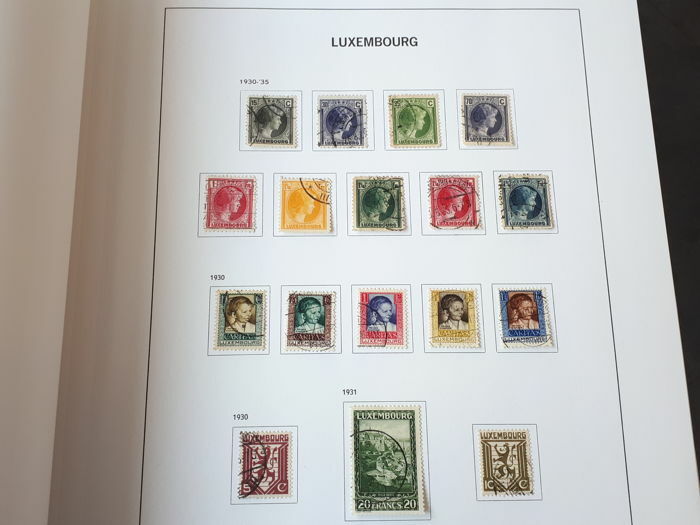 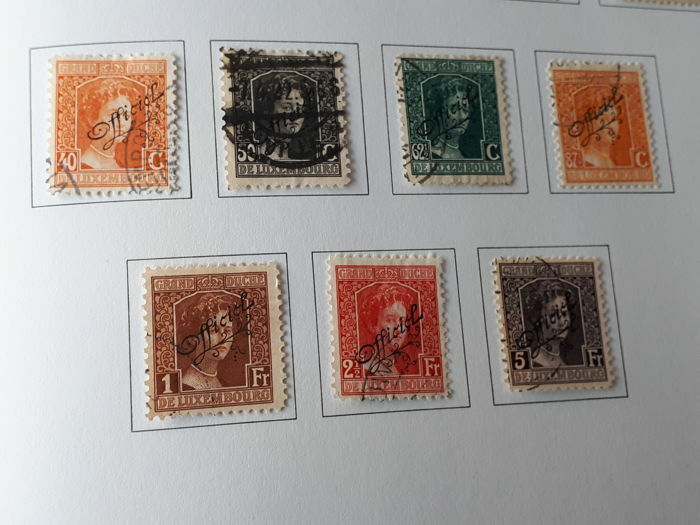 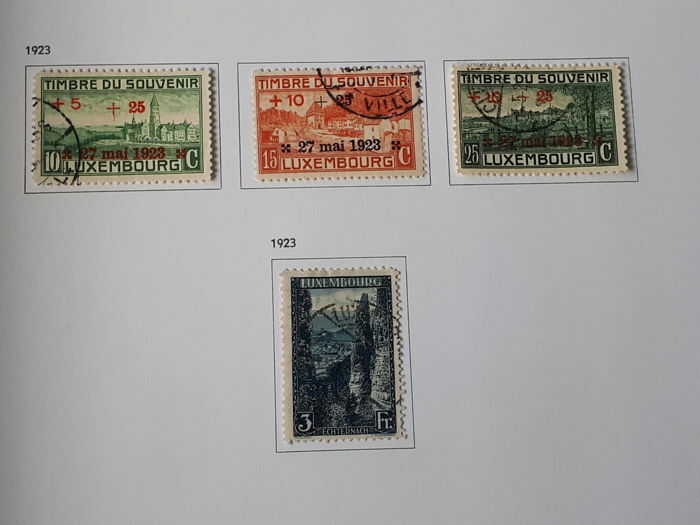 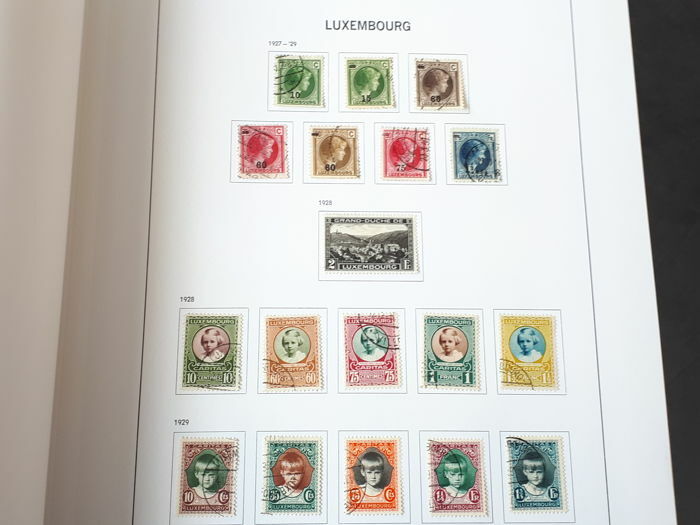 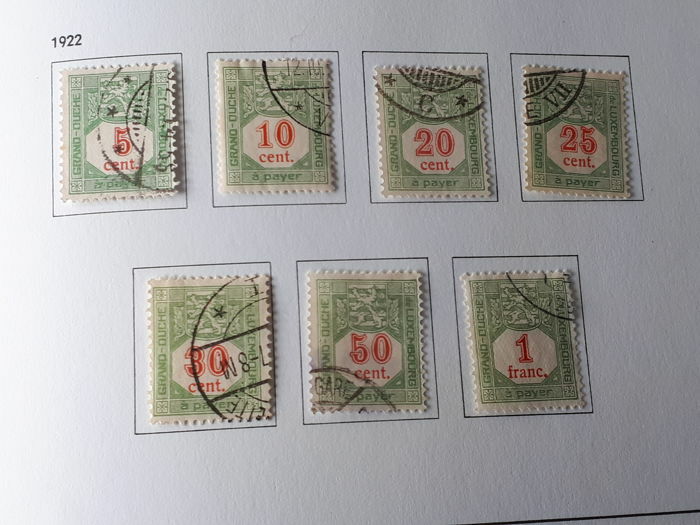 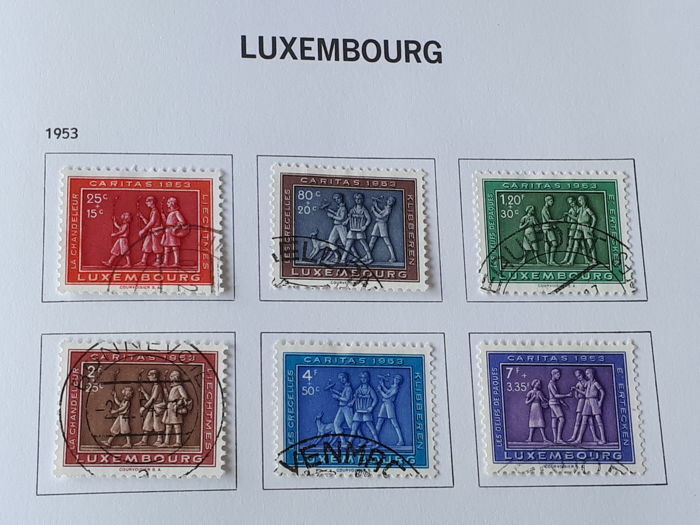 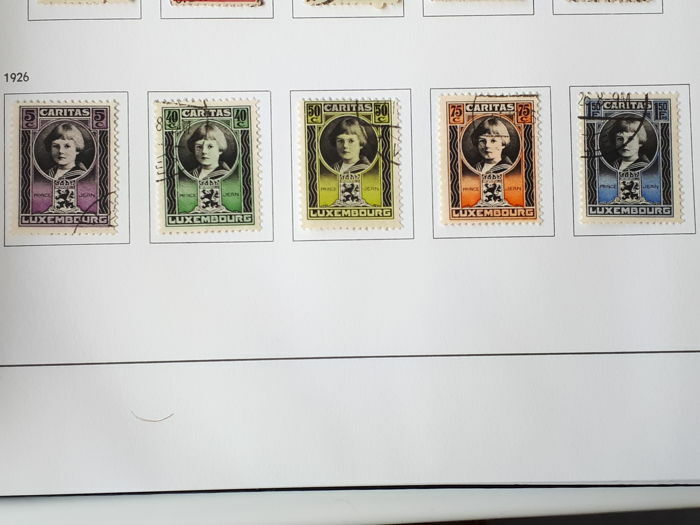 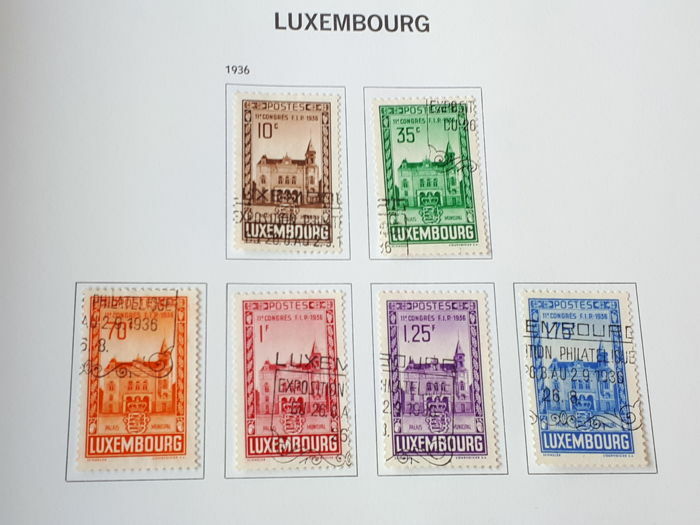 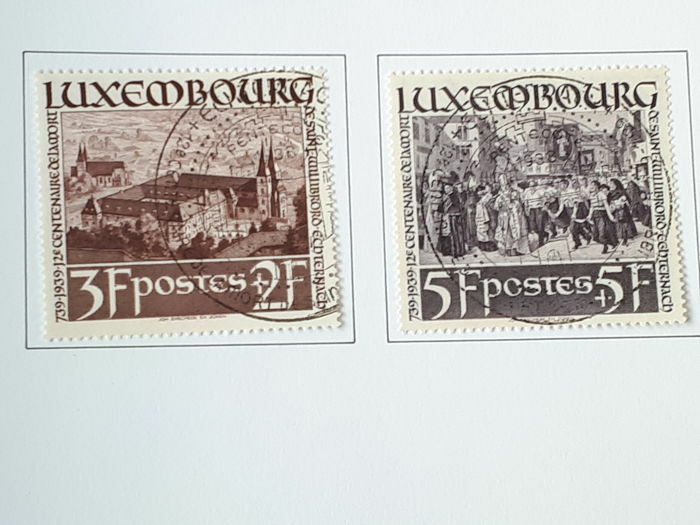 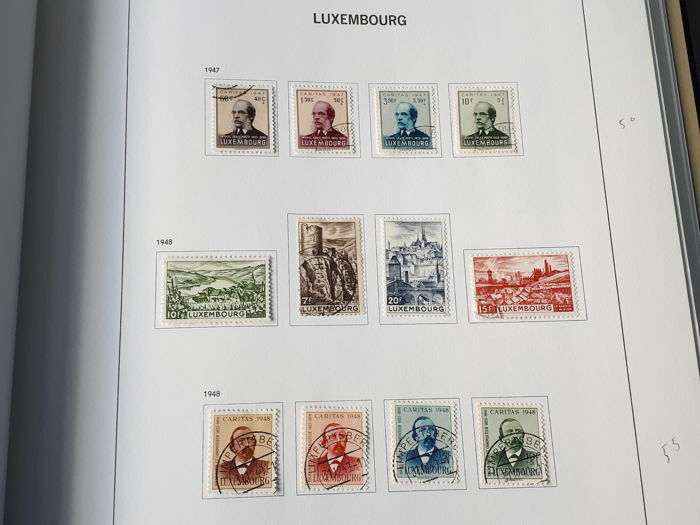 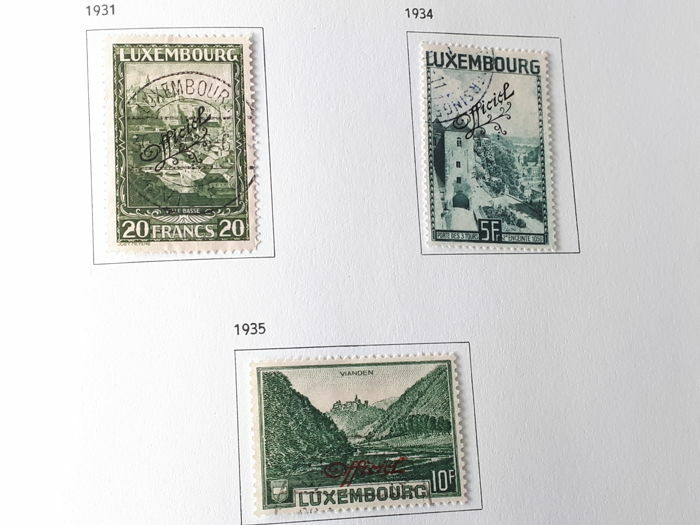 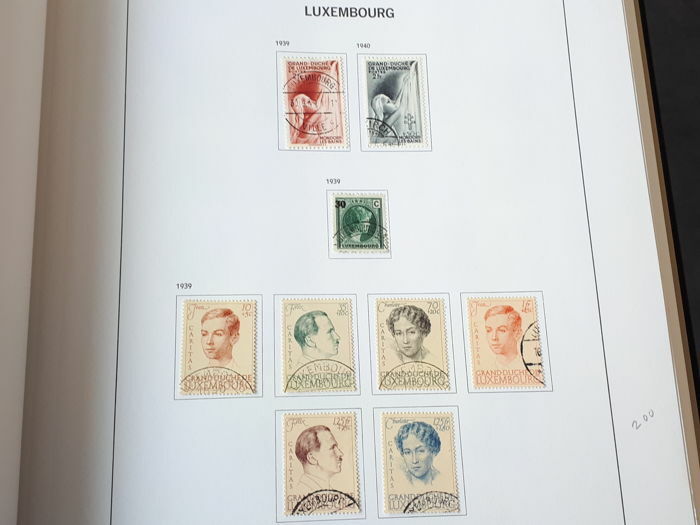 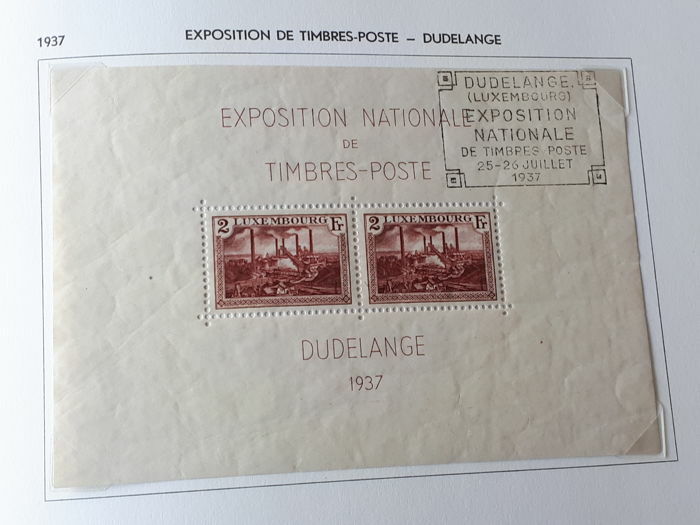 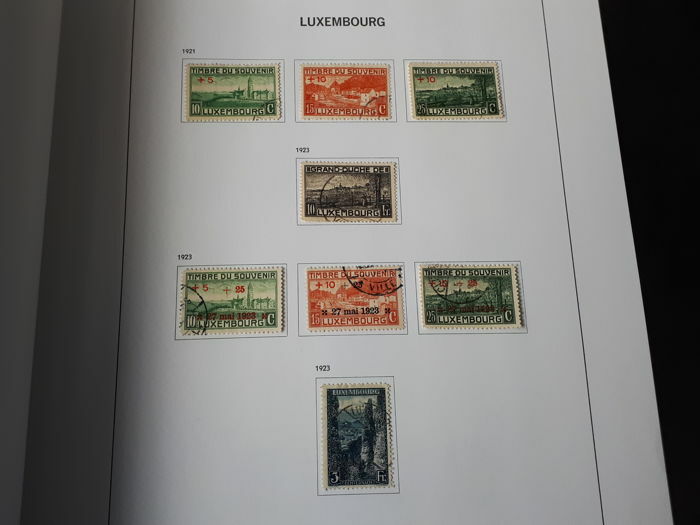 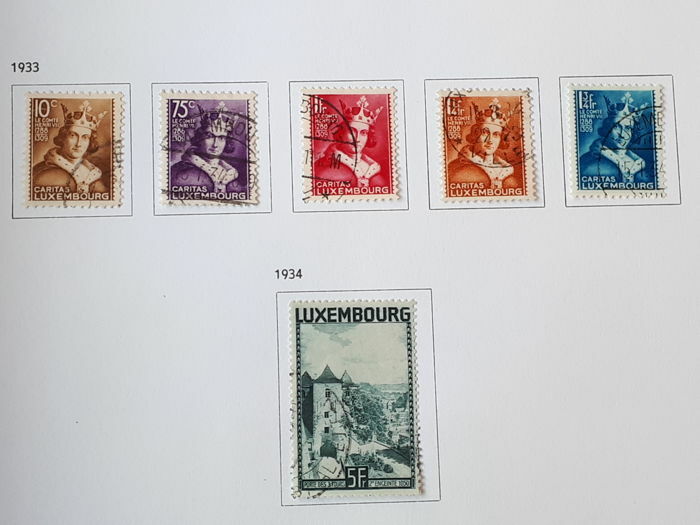 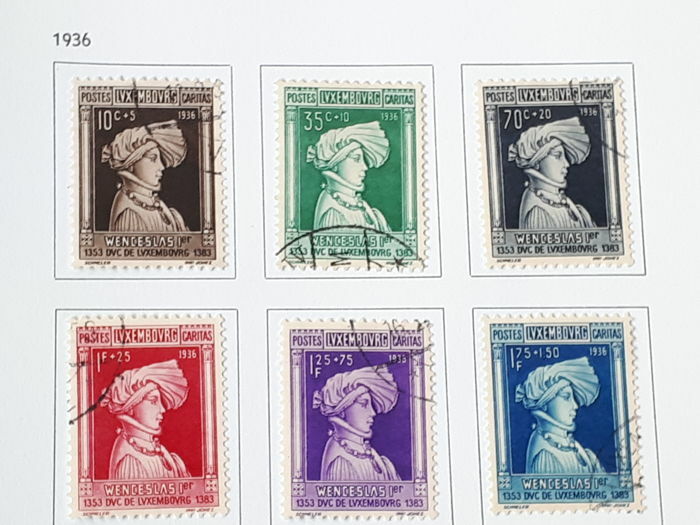 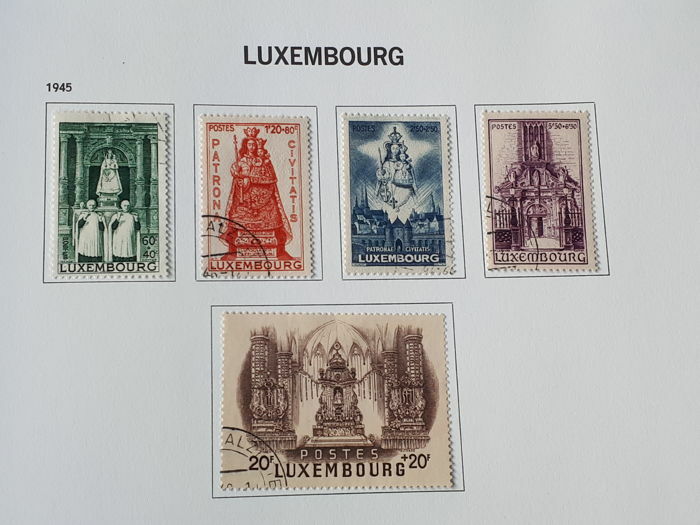 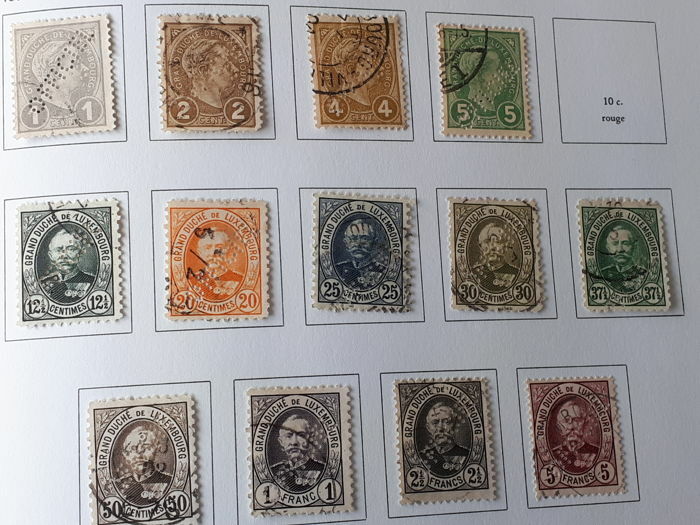 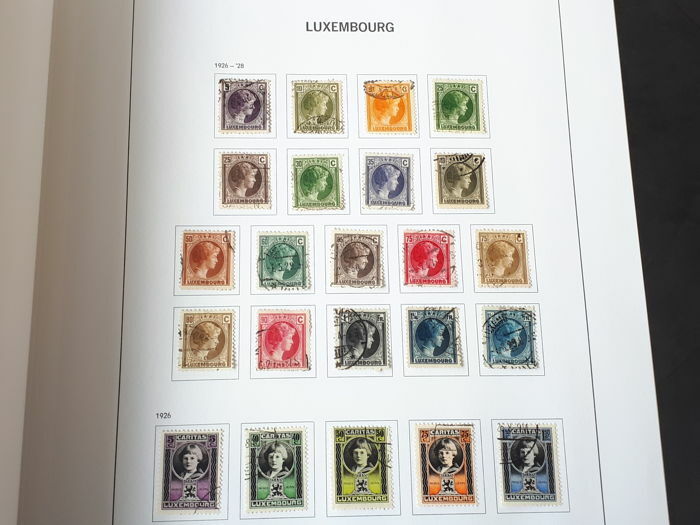 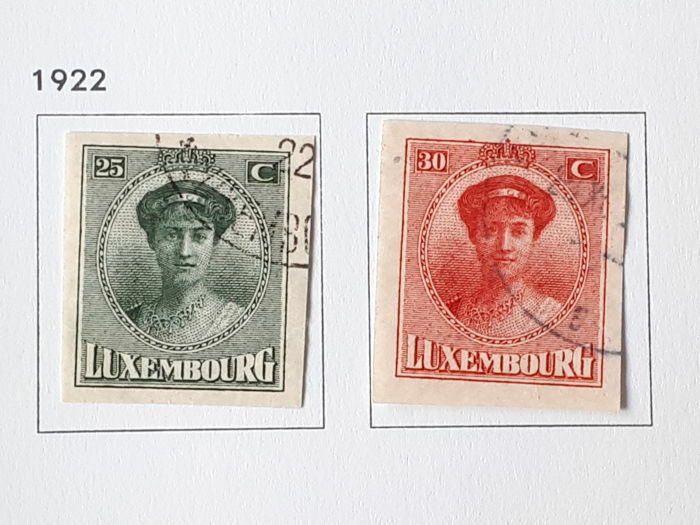 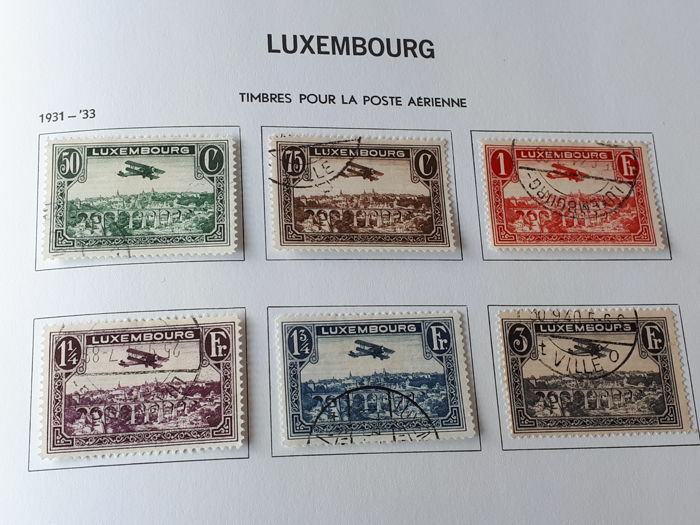 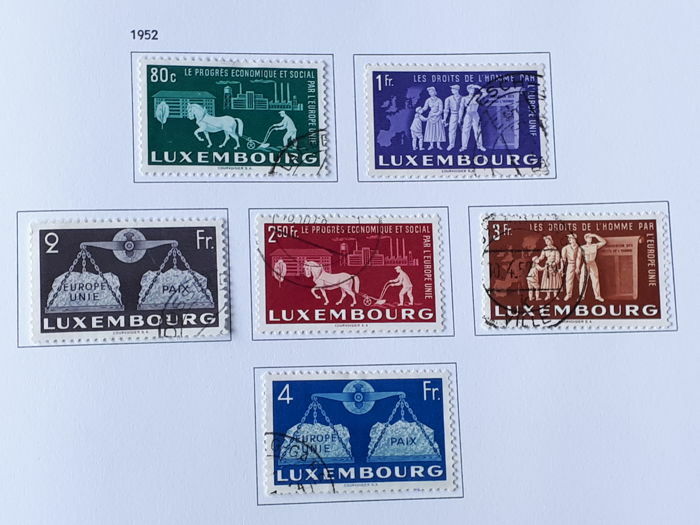 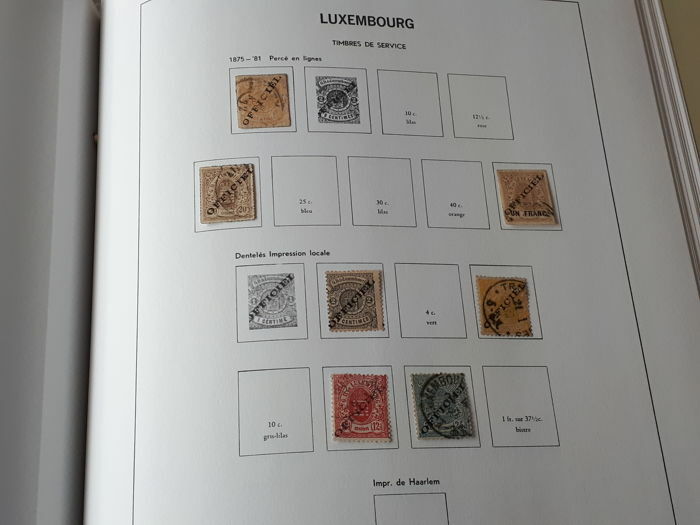 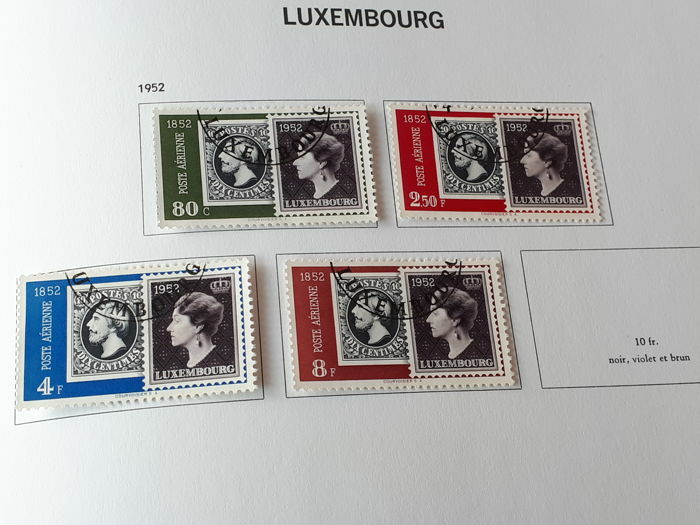 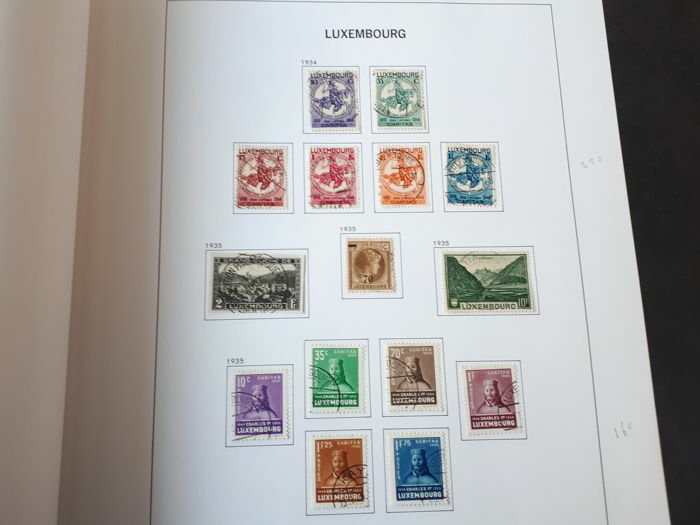 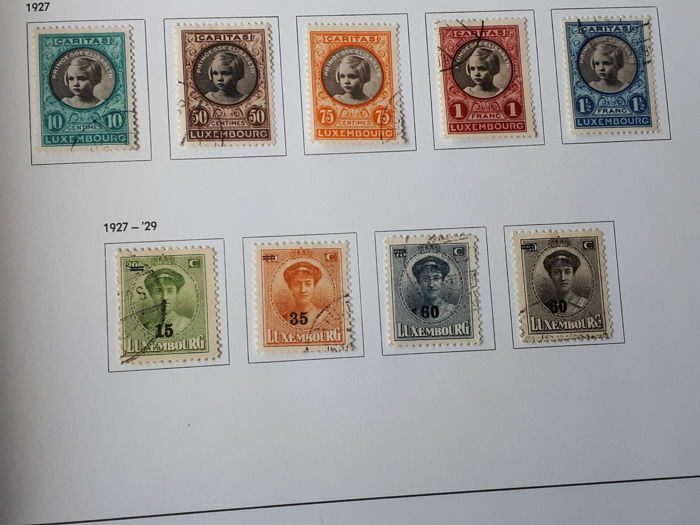 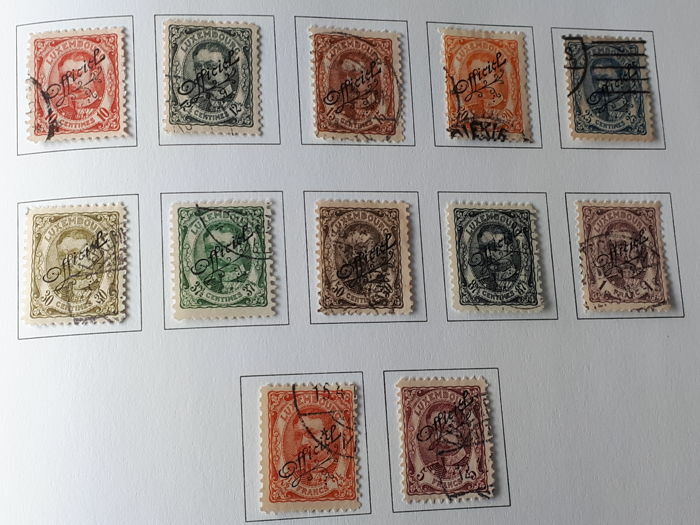 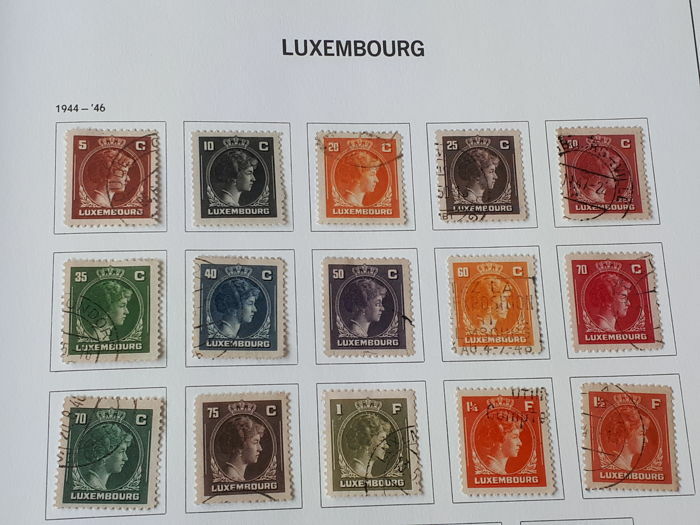 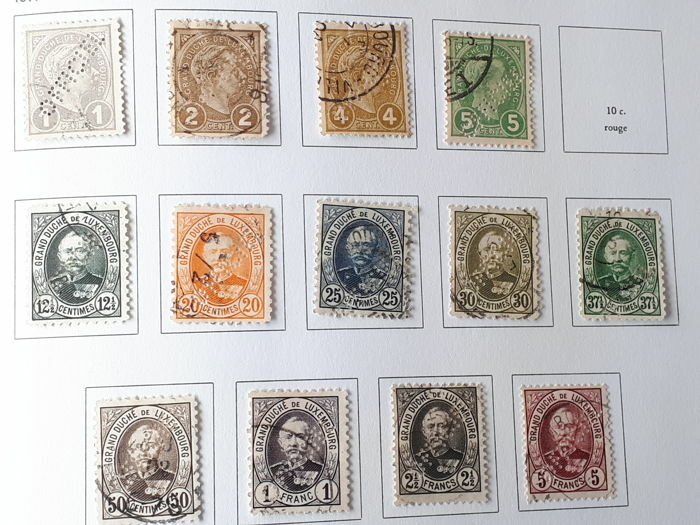 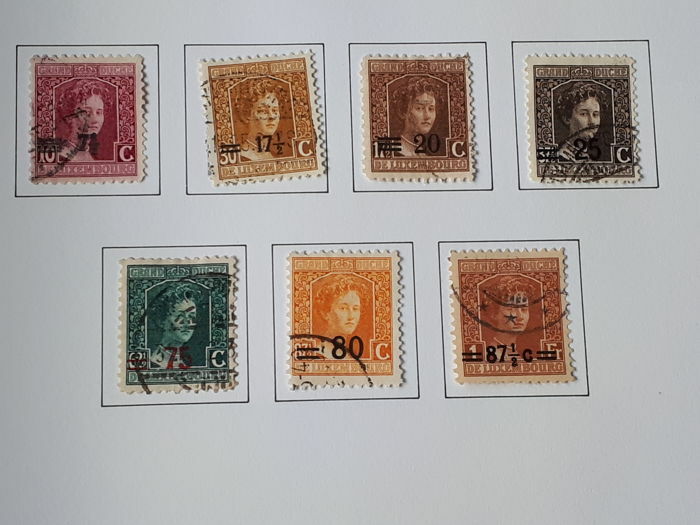 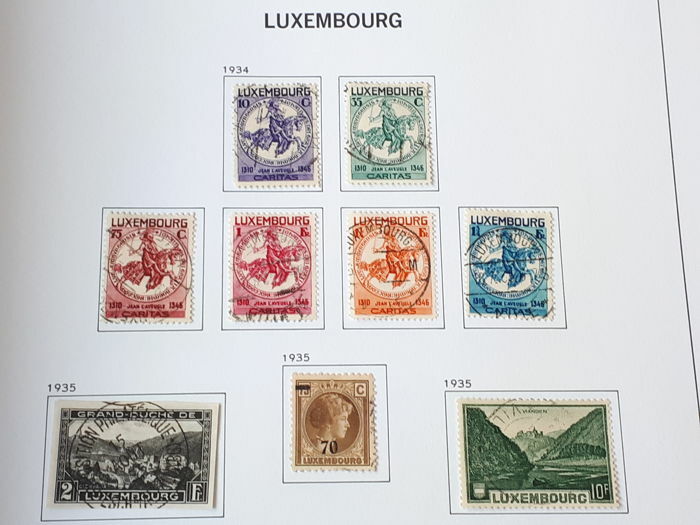 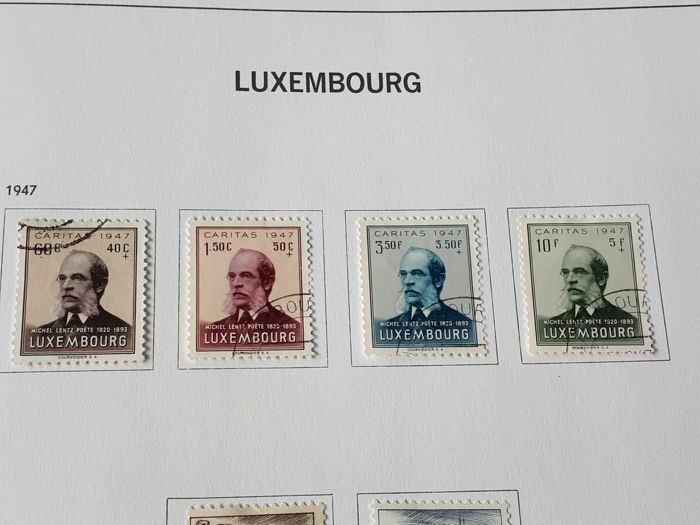 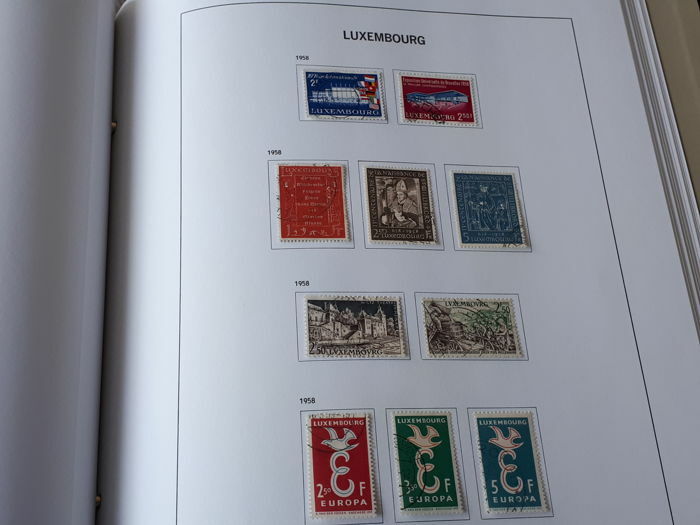 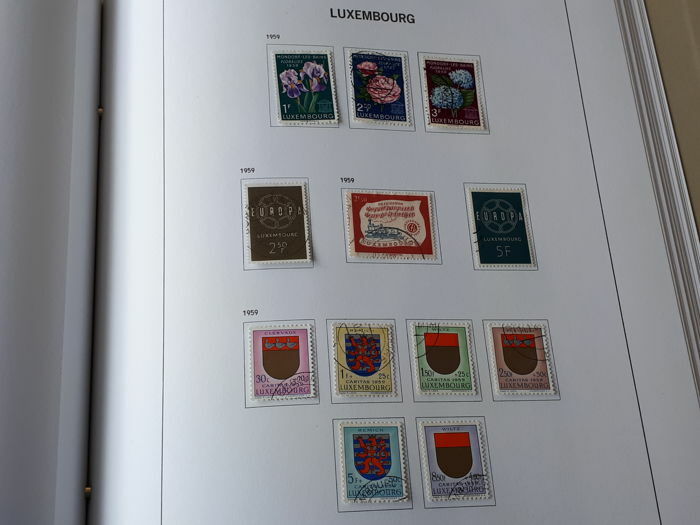 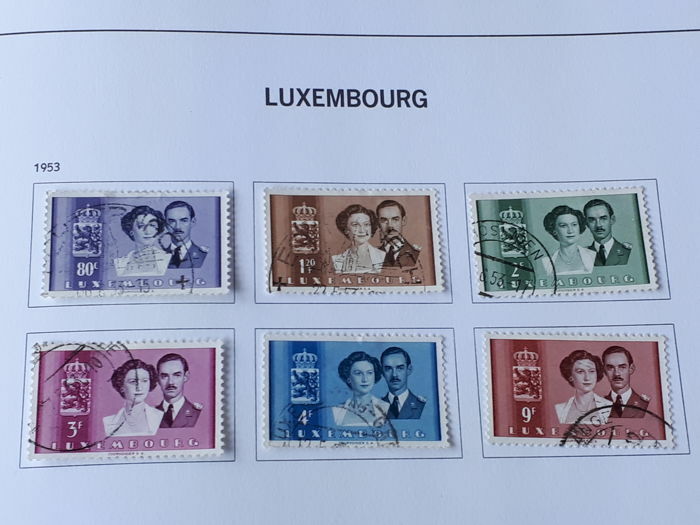 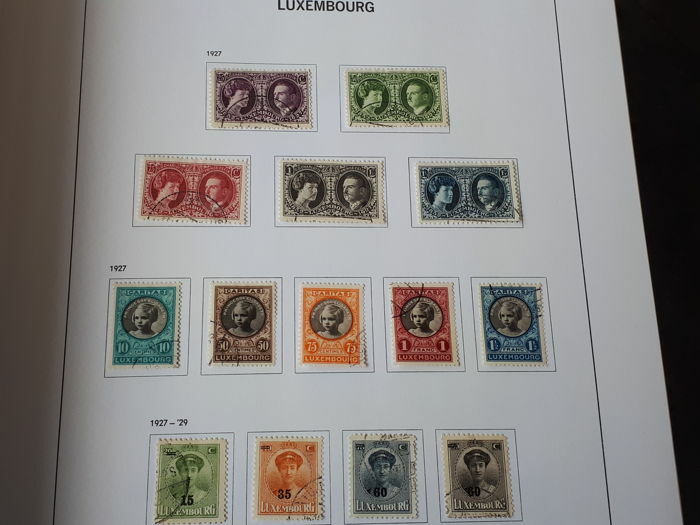 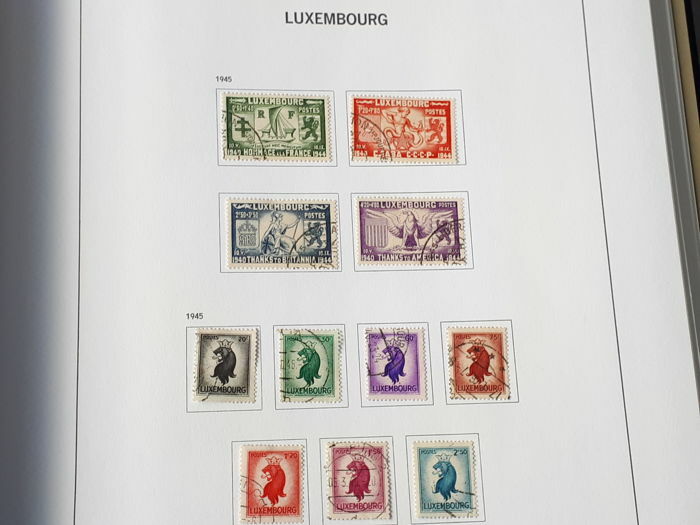 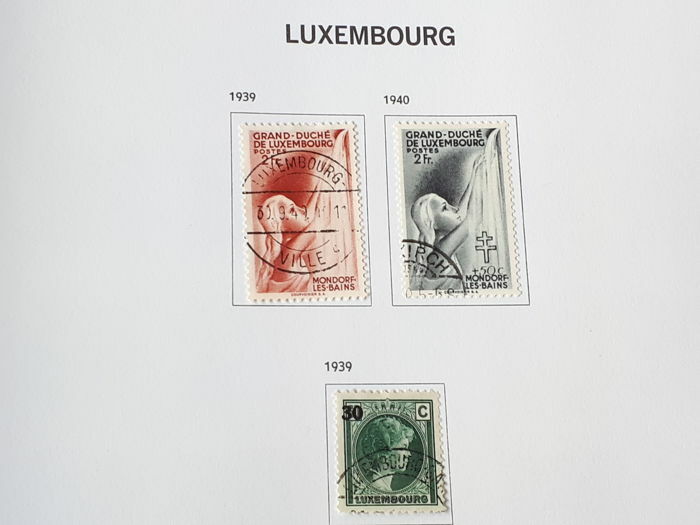 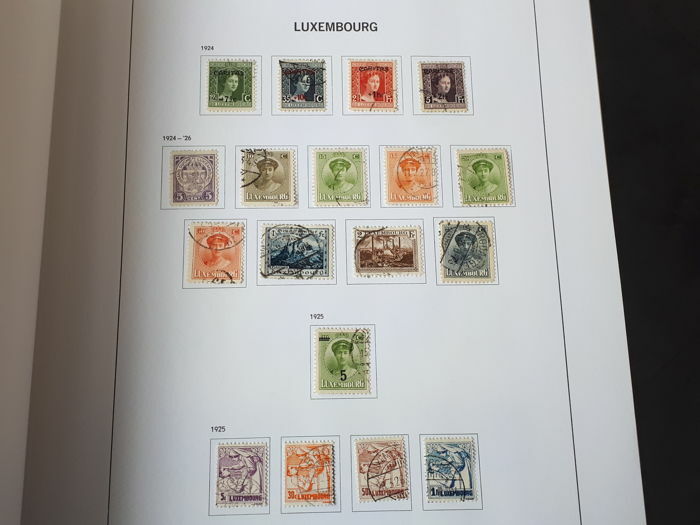 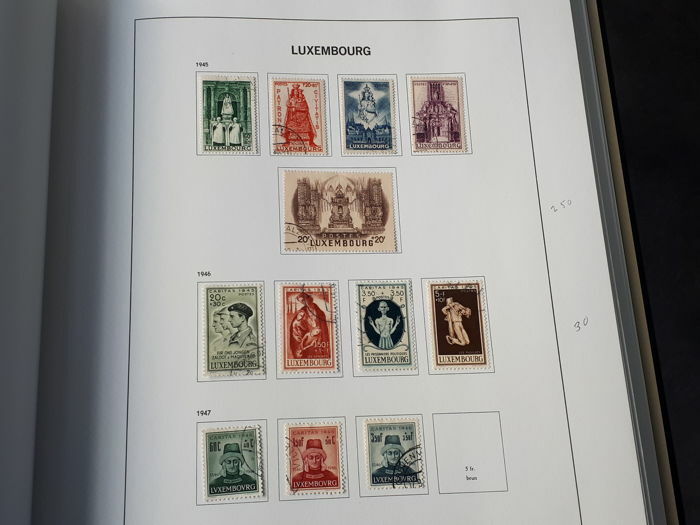 Luxembourg collection, some missing stamps in the beginning, with clear cancellations and overprints of Un Franc. 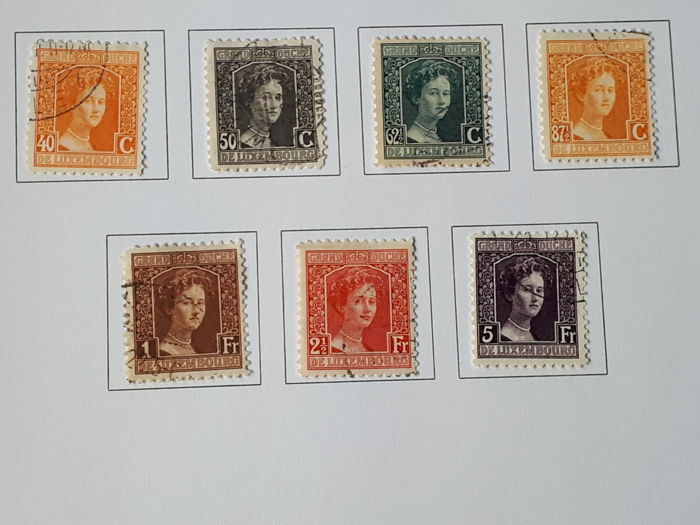 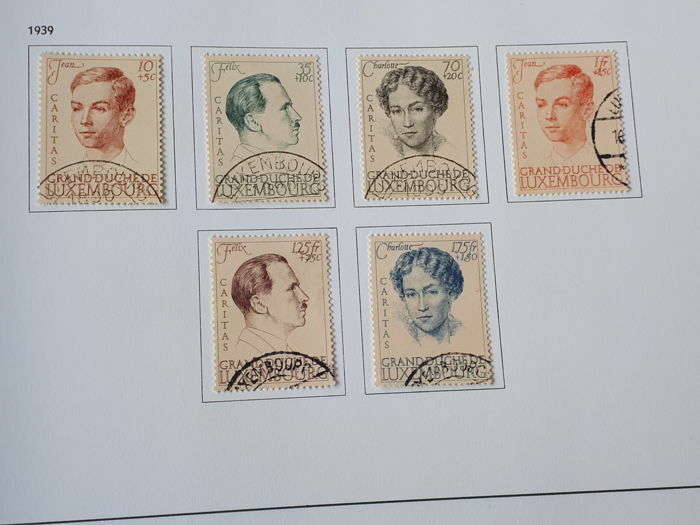 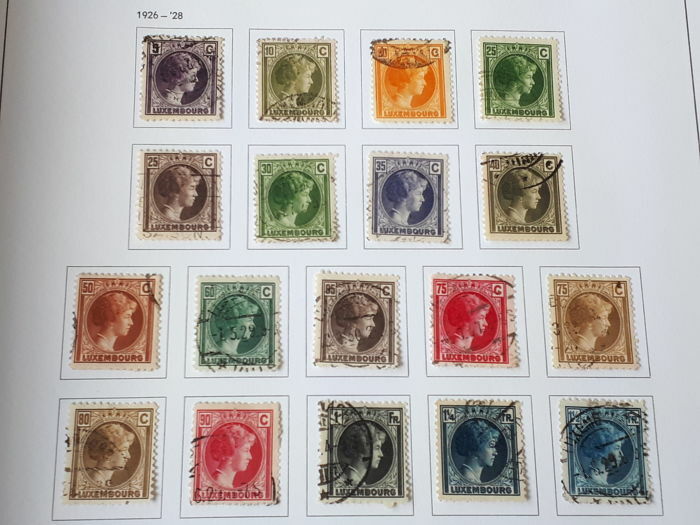 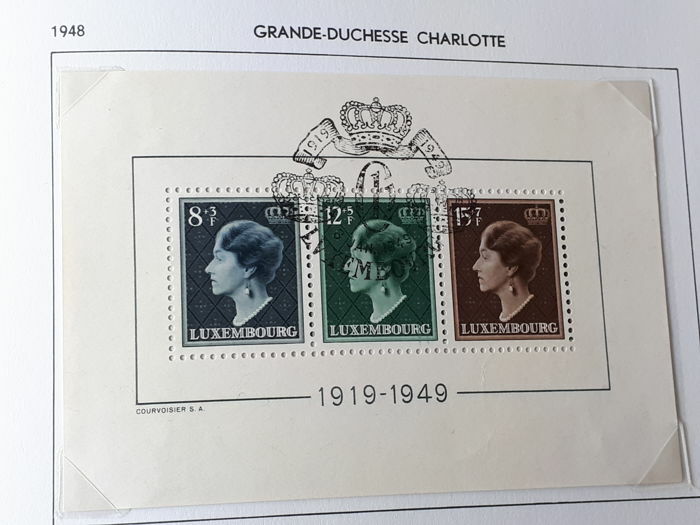 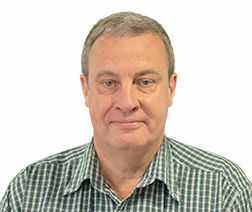 Complete series cancelled, complete airmail, official stamps, postage due stamps, occupation stamps. 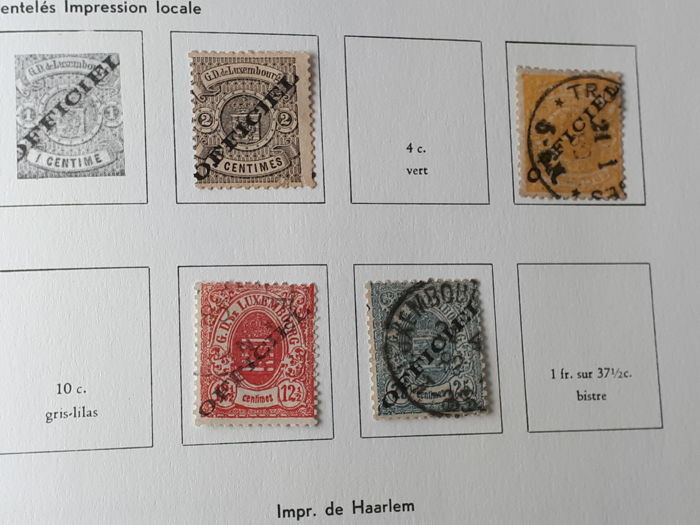 The album with stamps will be shipped with track and trace, with philatelic postage.